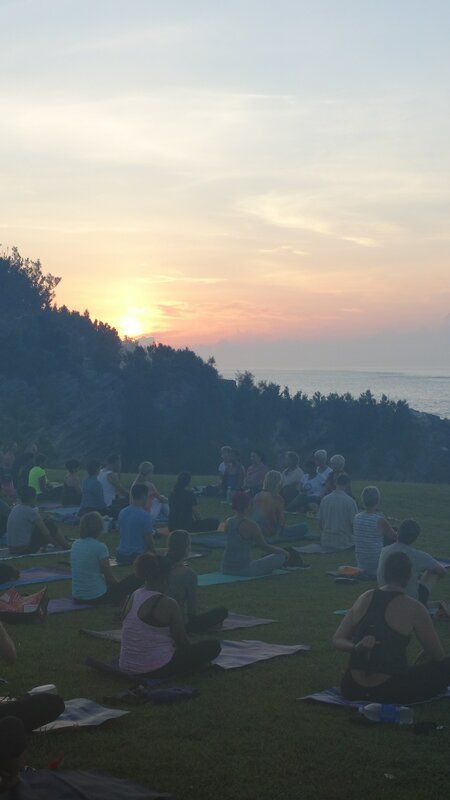 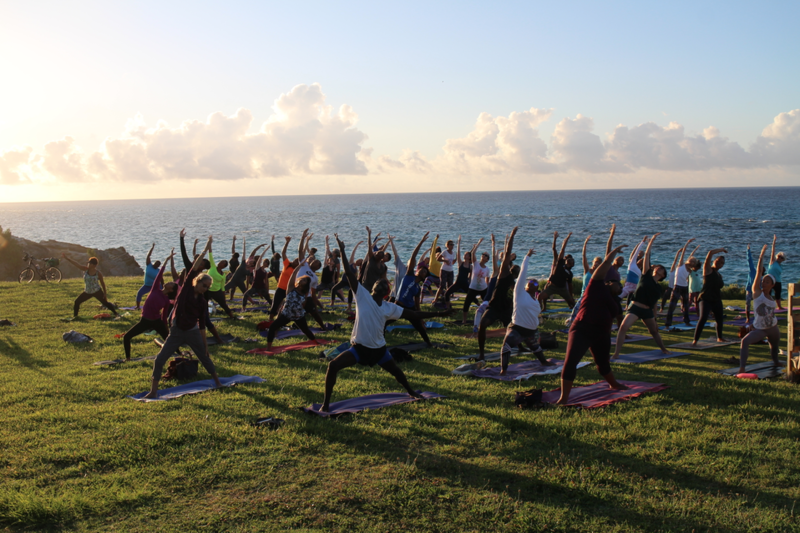 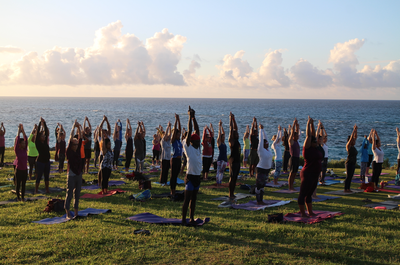 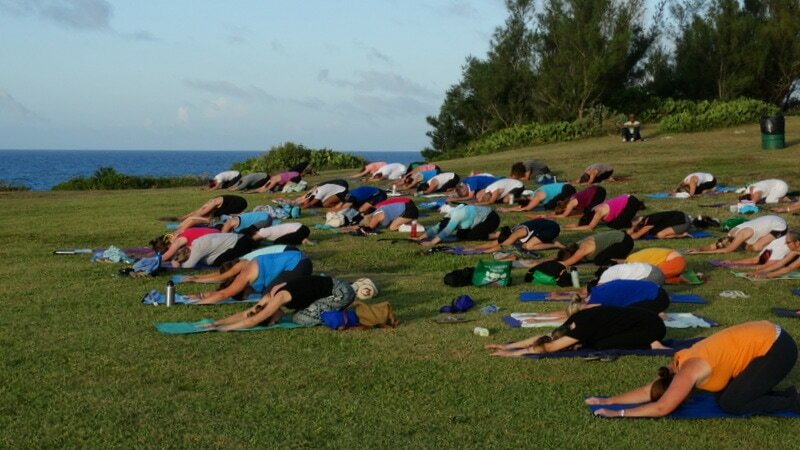 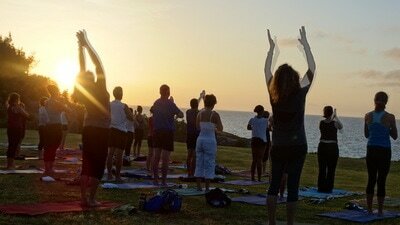 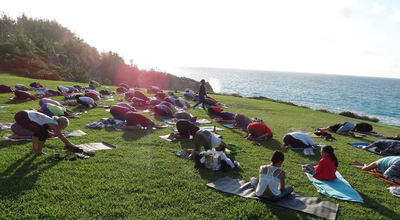 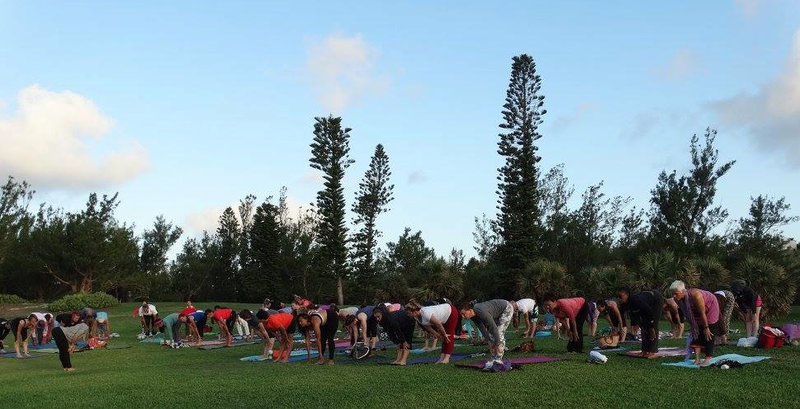 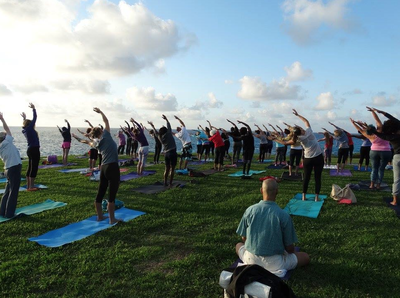 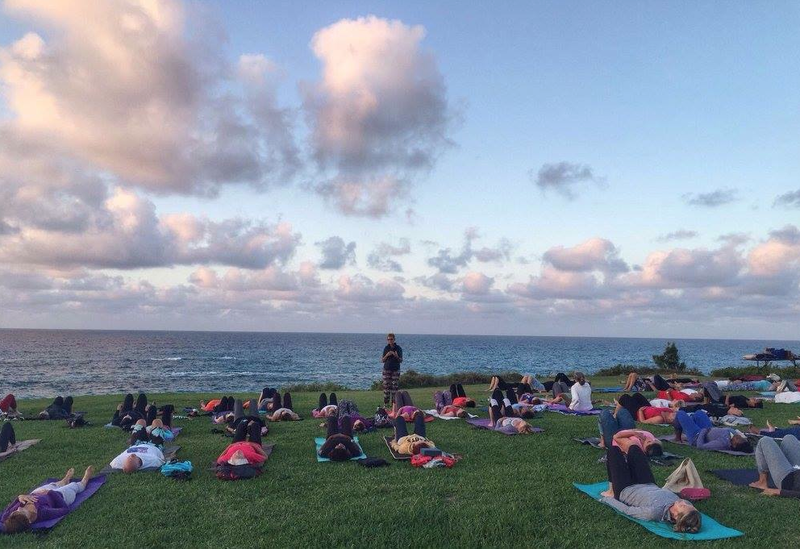 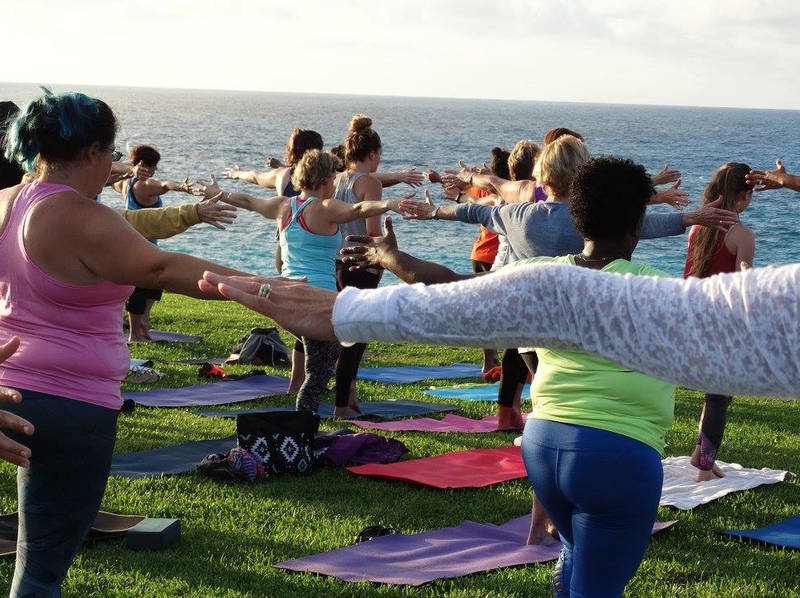 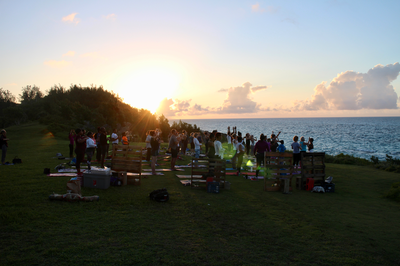 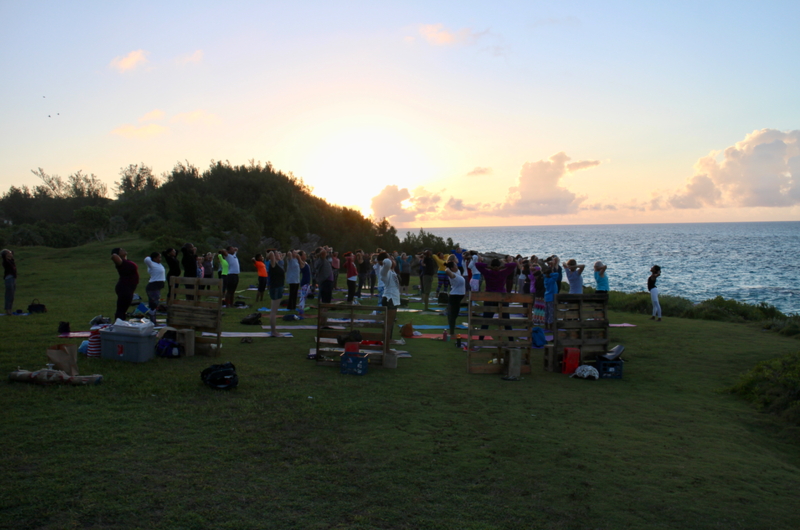 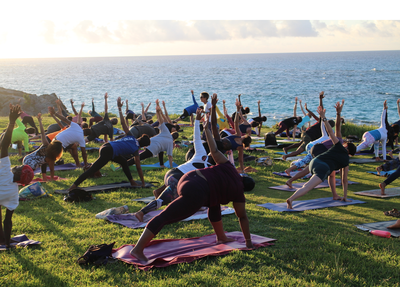 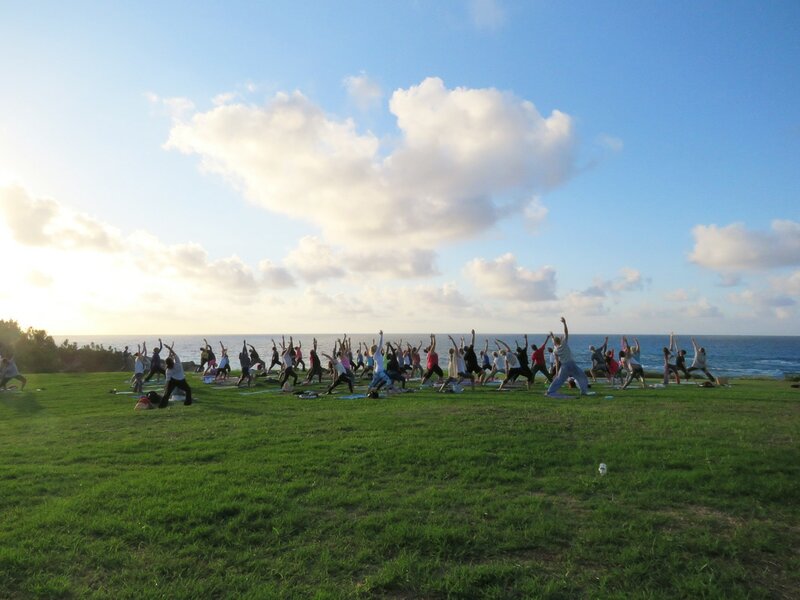 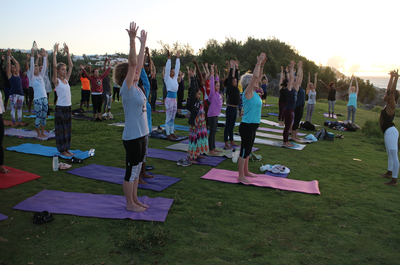 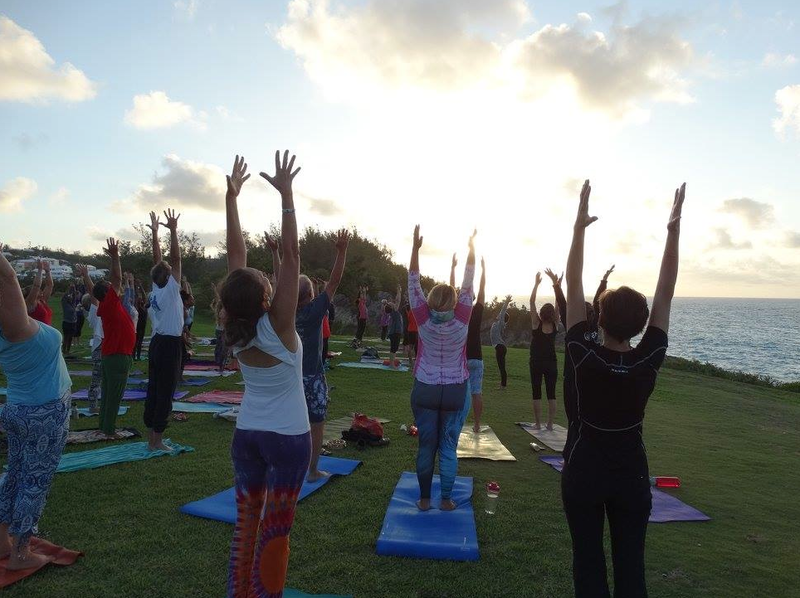 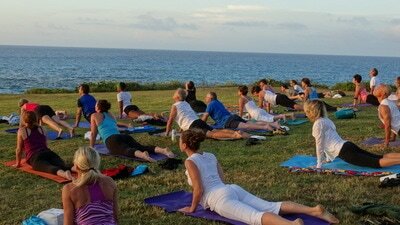 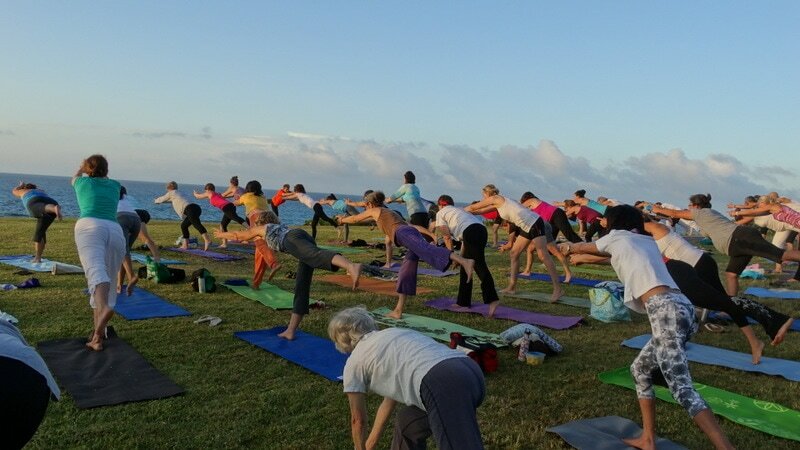 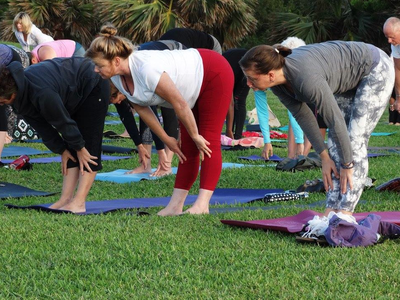 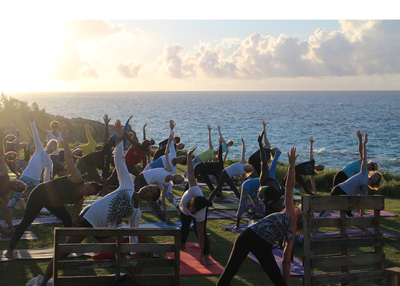 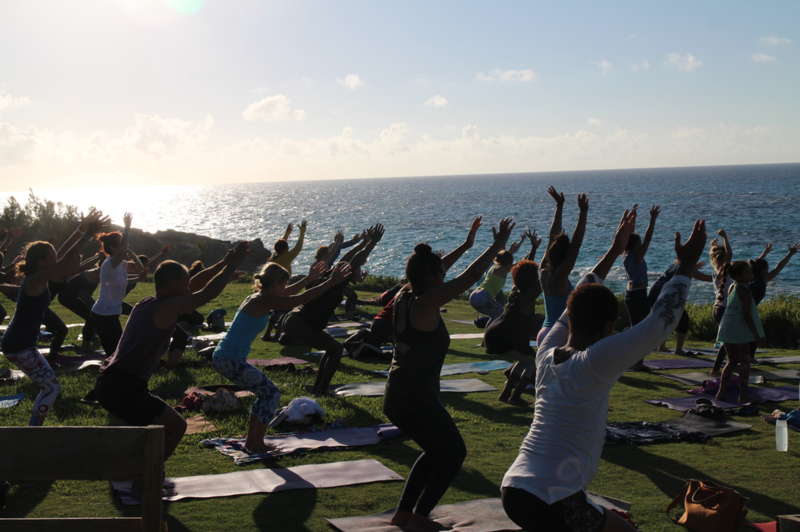 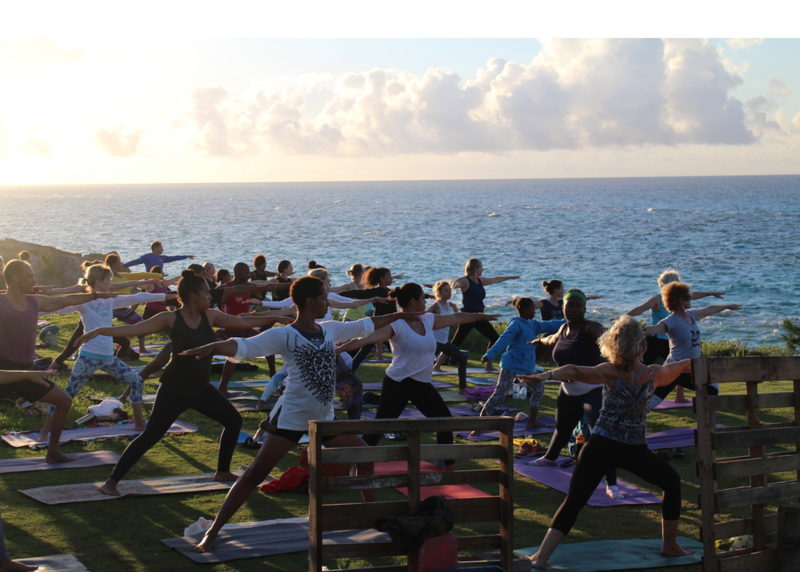 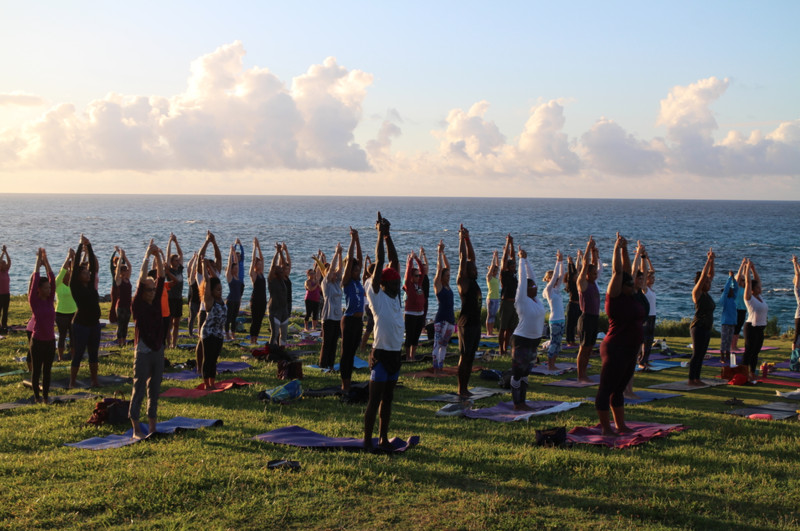 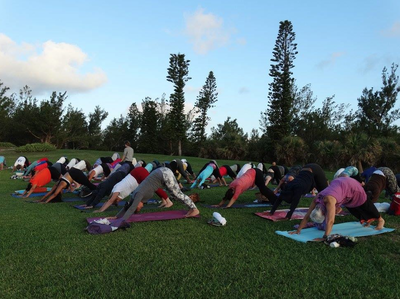 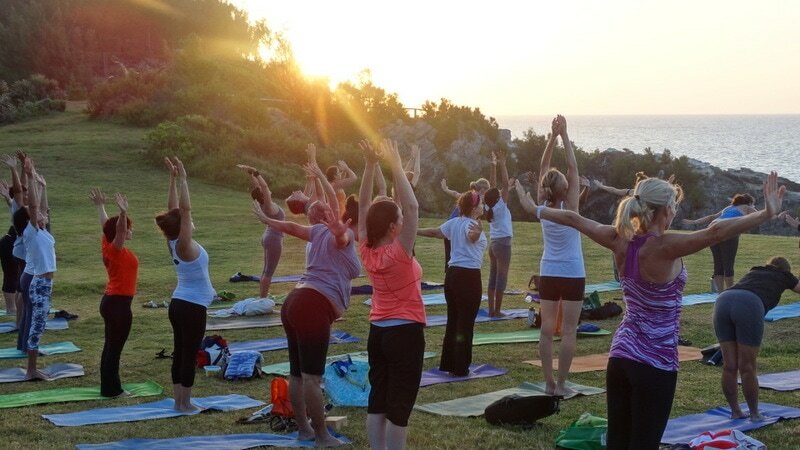 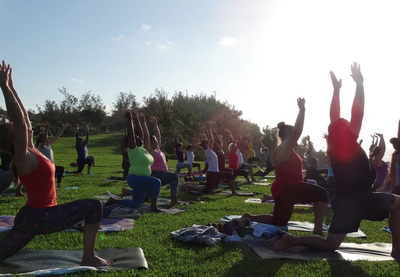 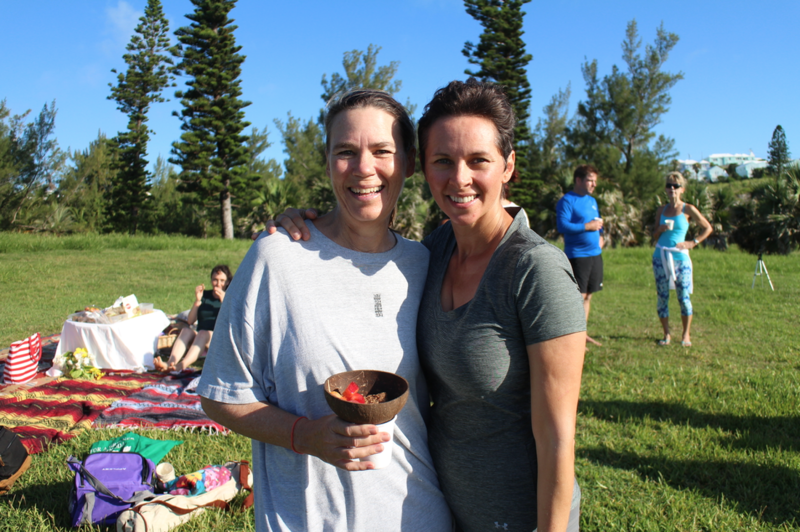 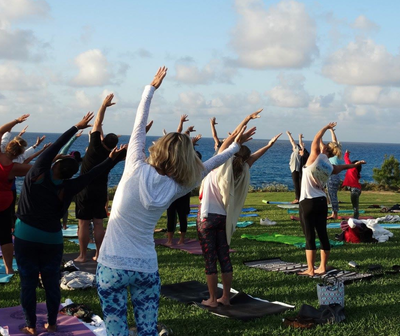 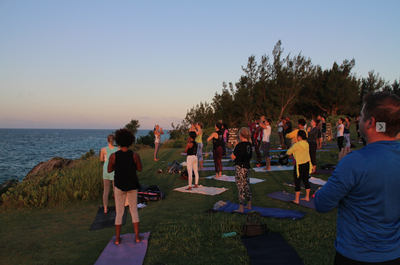 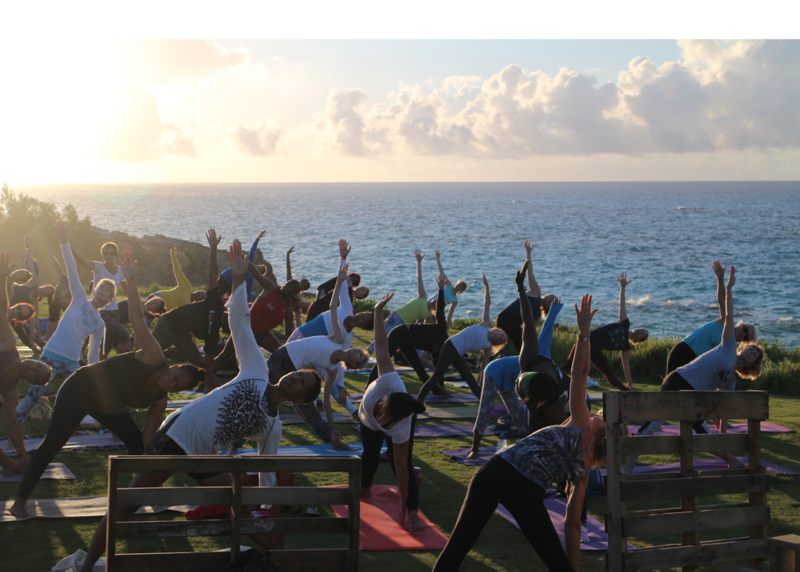 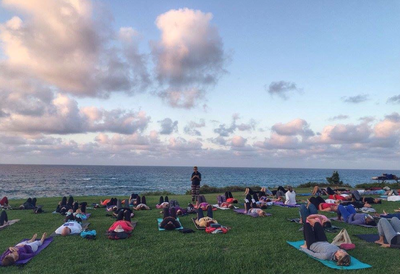 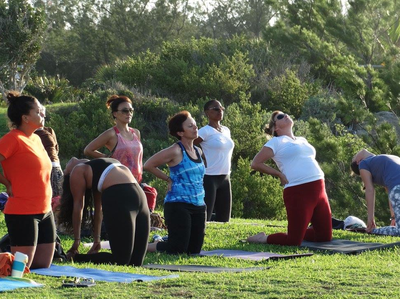 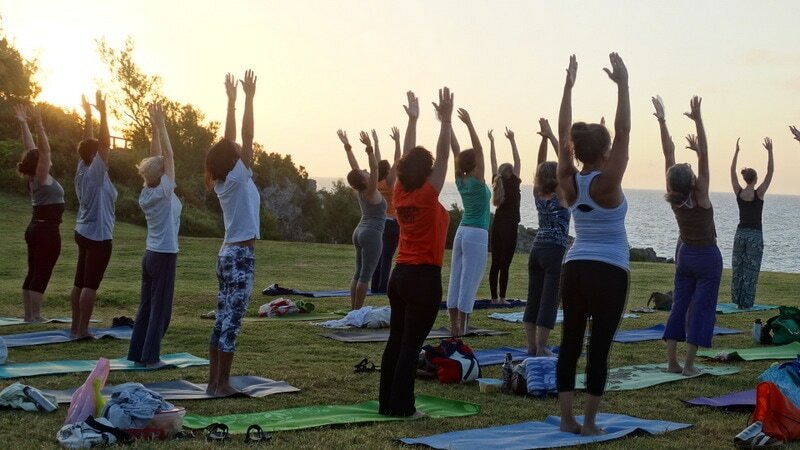 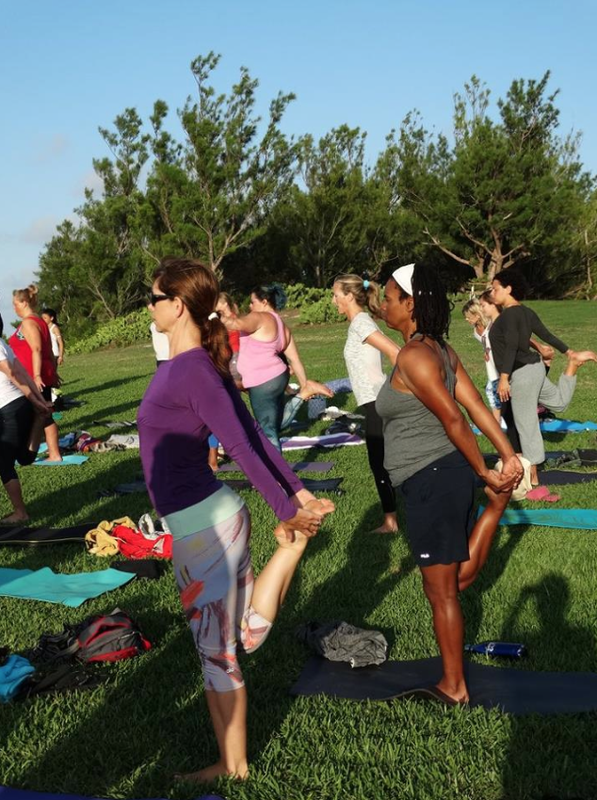 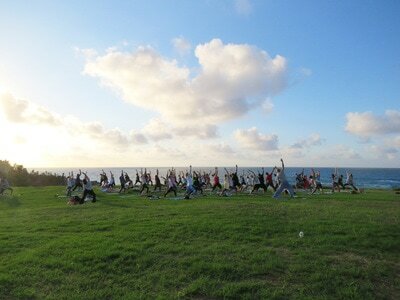 This year we celebrated the 15th Anniversary of our annual, community, Summer Solstice Sunrise Yoga Practice. 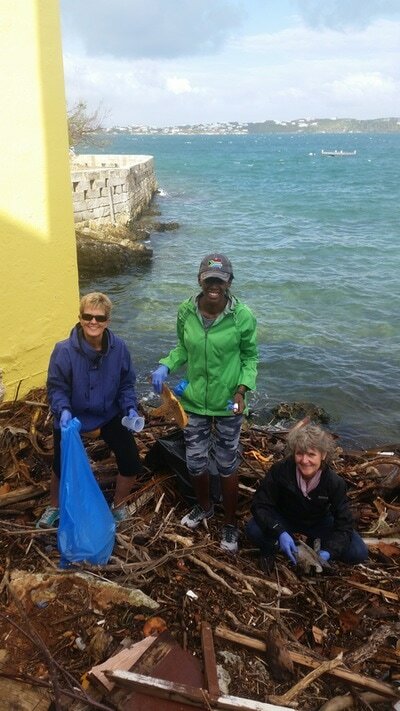 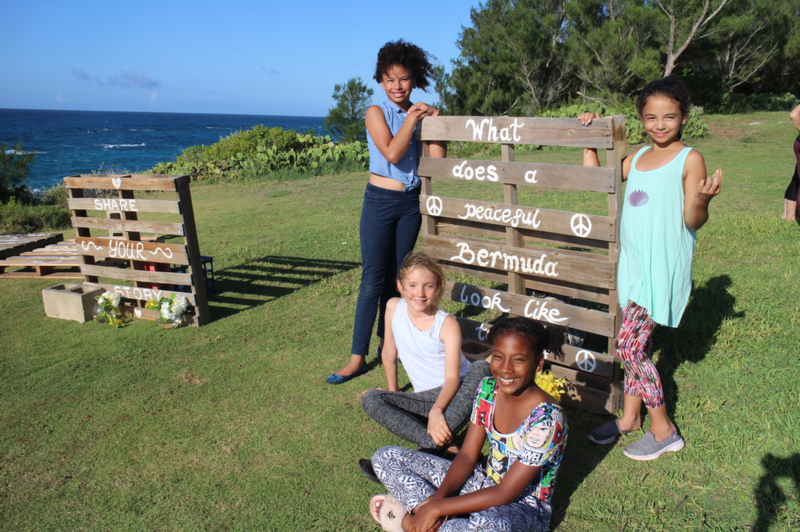 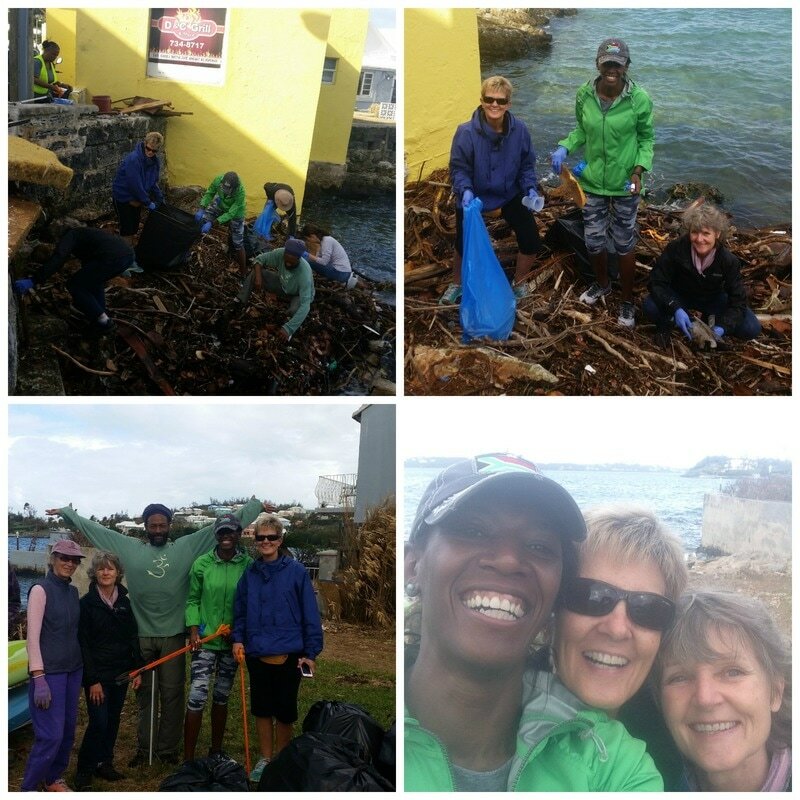 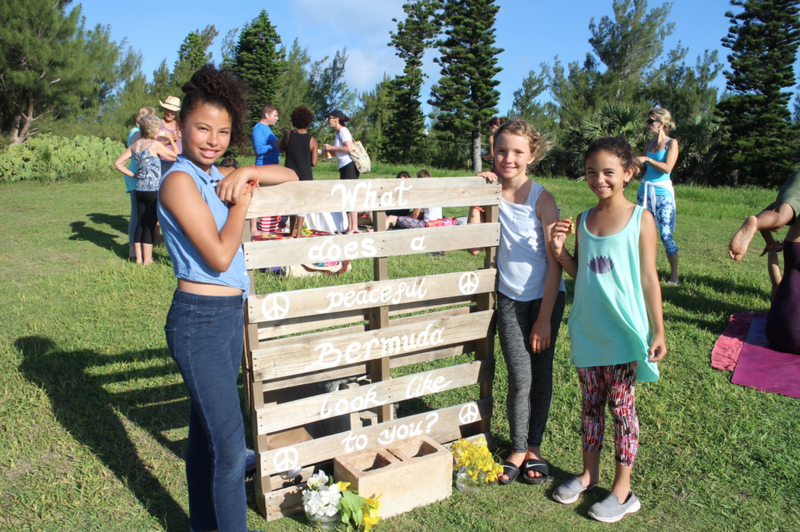 #WalkTOGETHERBermuda is a community collaboration to inspire hope & compassion & to bring the people of our beautiful island together. We captured the spirit of WalkTogether by borrowing the inspiration boards they used during their event. 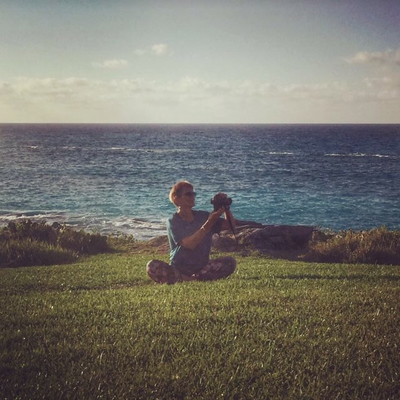 Share your story * What do you care about? 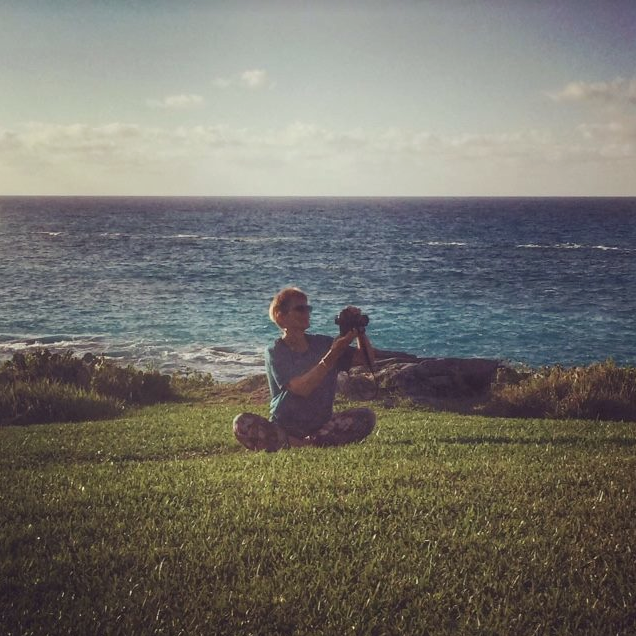 What Matters to you? 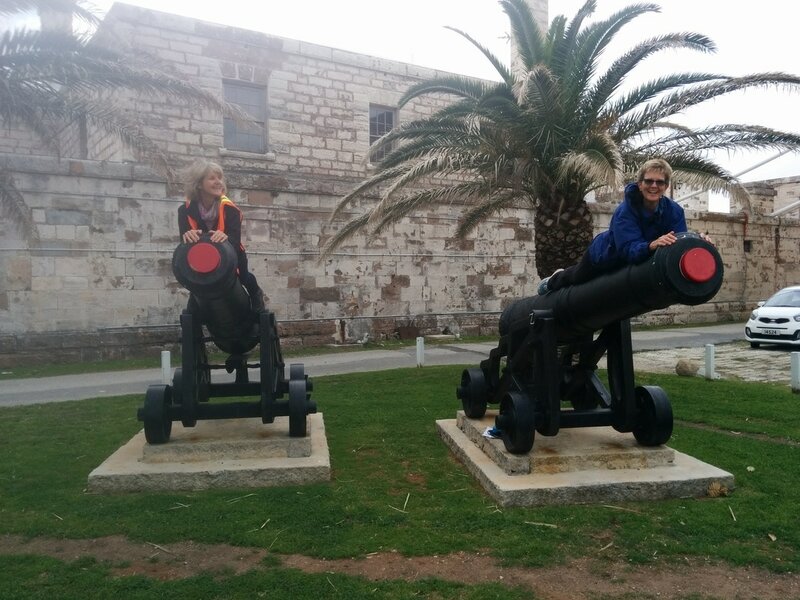 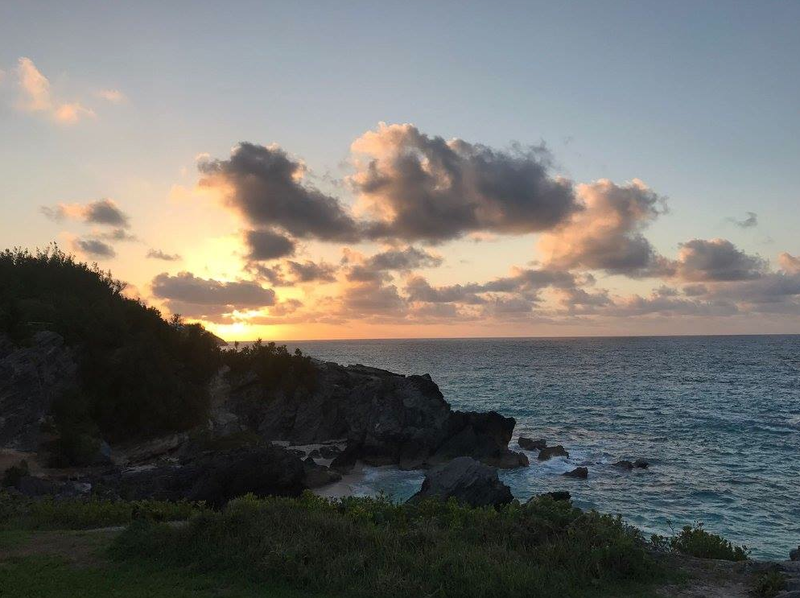 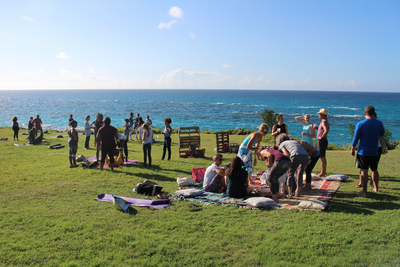 * What does a peaceful Bermuda look like to you? 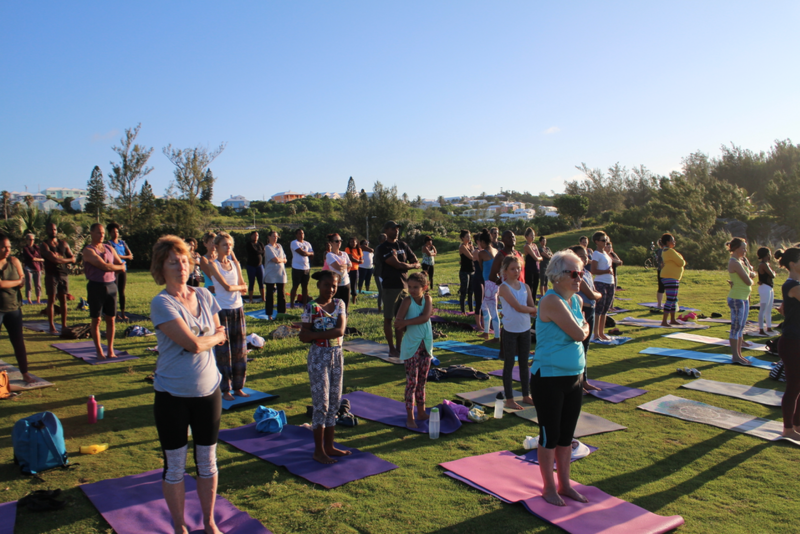 * What makes a community come together and what can you do? 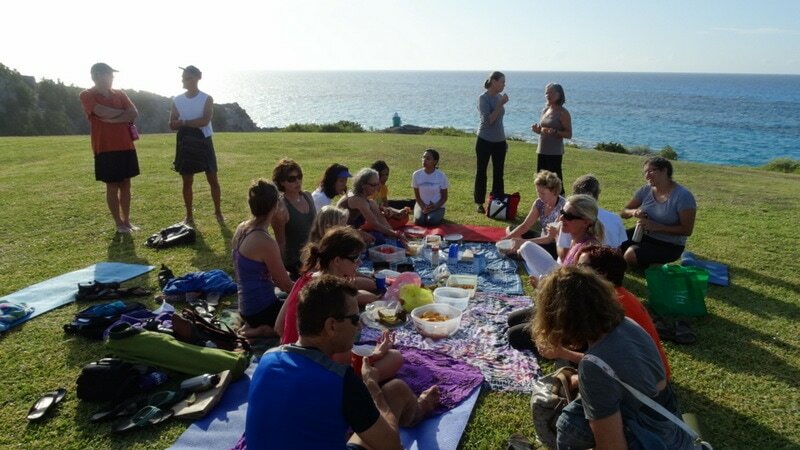 Participants also received a booklet of quotes we complied to mark the occasion. 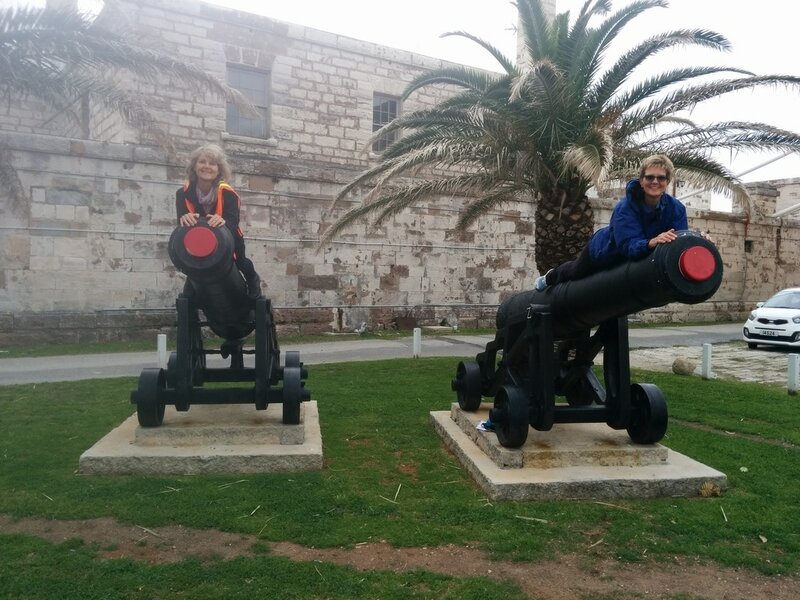 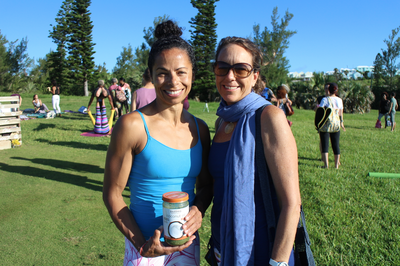 The quotes were submitted by BYTA members and friends in the yoga community. 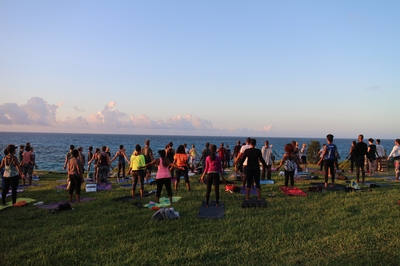 And thank you to everyone who joined us on this beautiful morning! We borrowed these boards from #WalkTogetherBda to decorate our event and invoke the spirit of community and coming together instilled by the #WalkTogether movement. Some participants from a recent partner yoga workshop practicing their newly learned skills during our social after the class. 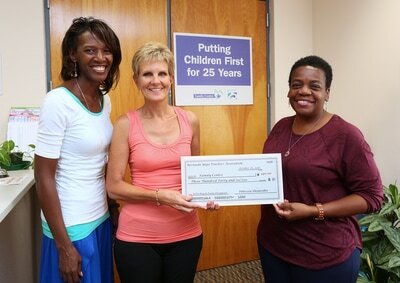 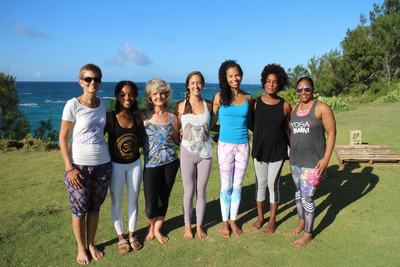 Thanks to our teachers: Trish, Shadae, Elaine Bec, Sophia, Mel, Marcia (and Robin, missing from pic)! 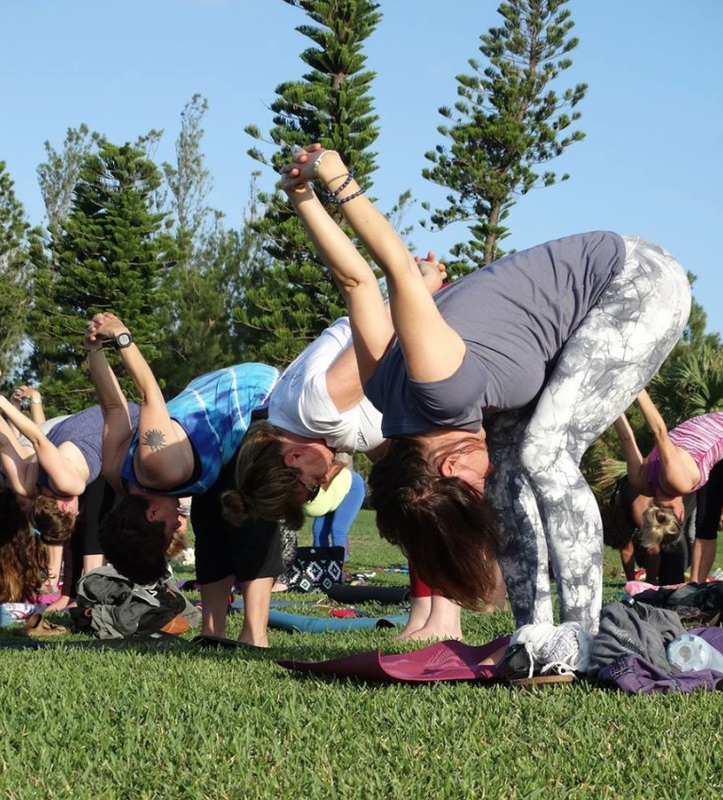 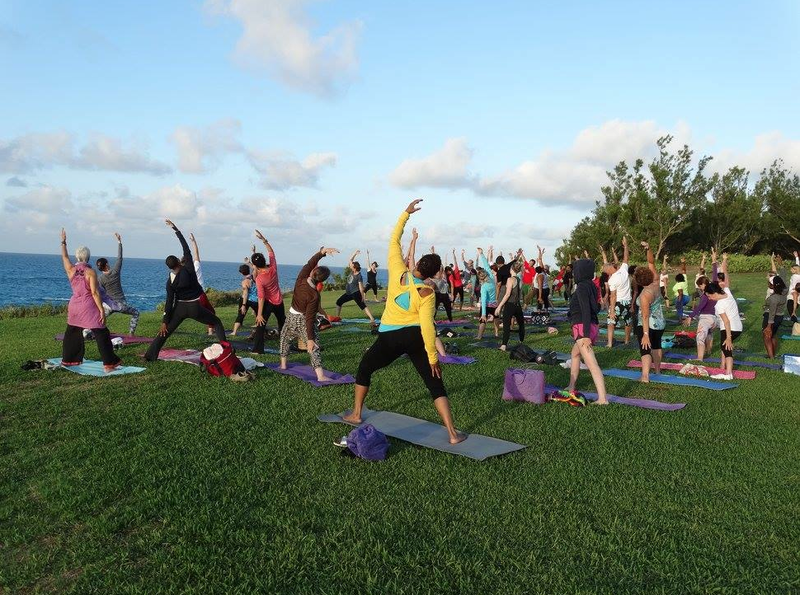 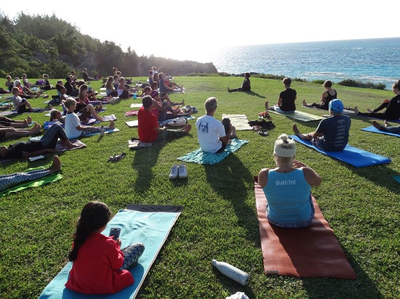 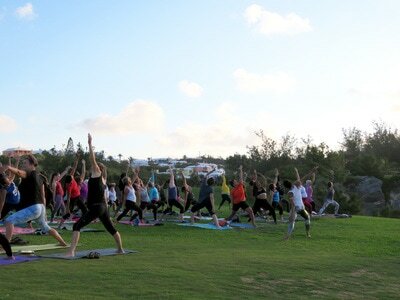 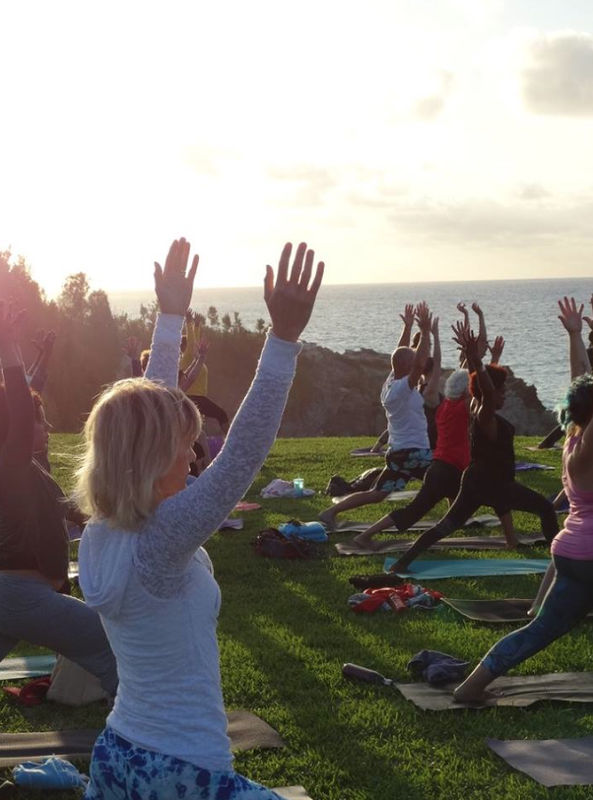 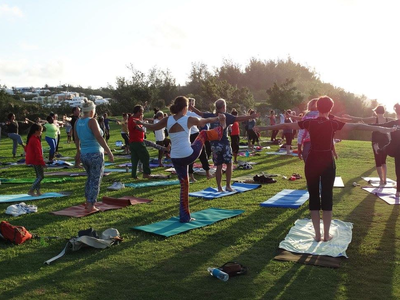 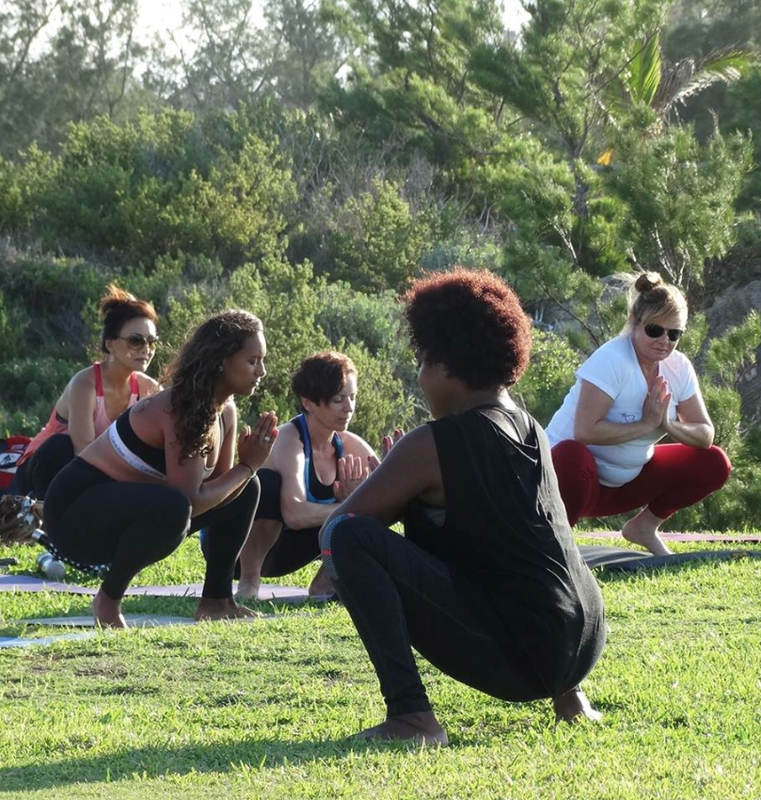 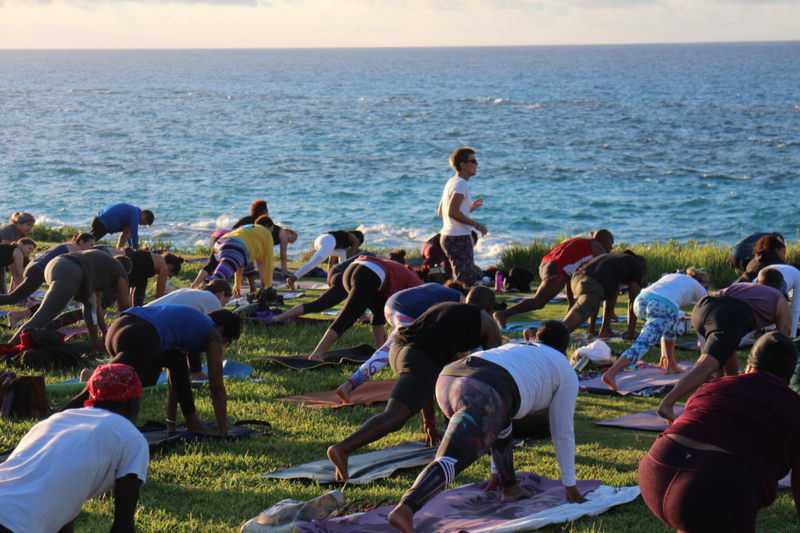 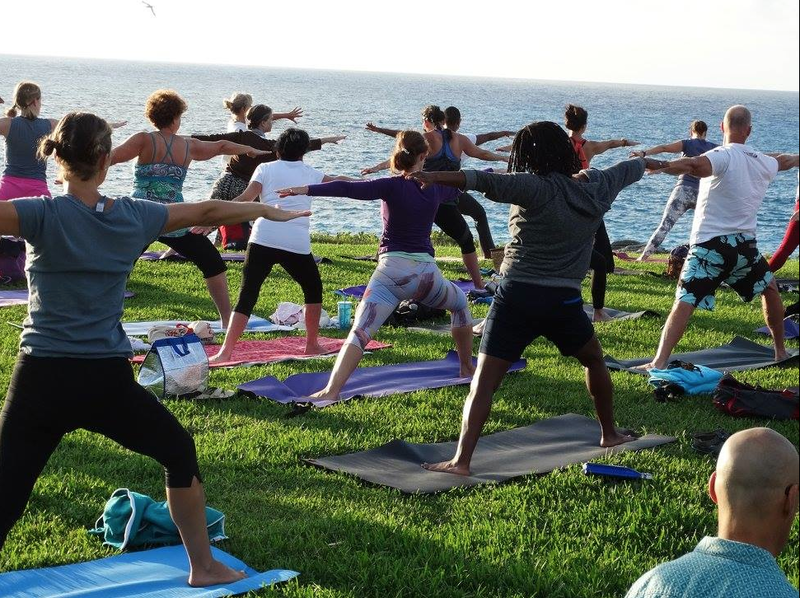 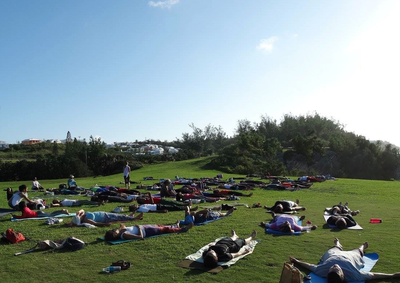 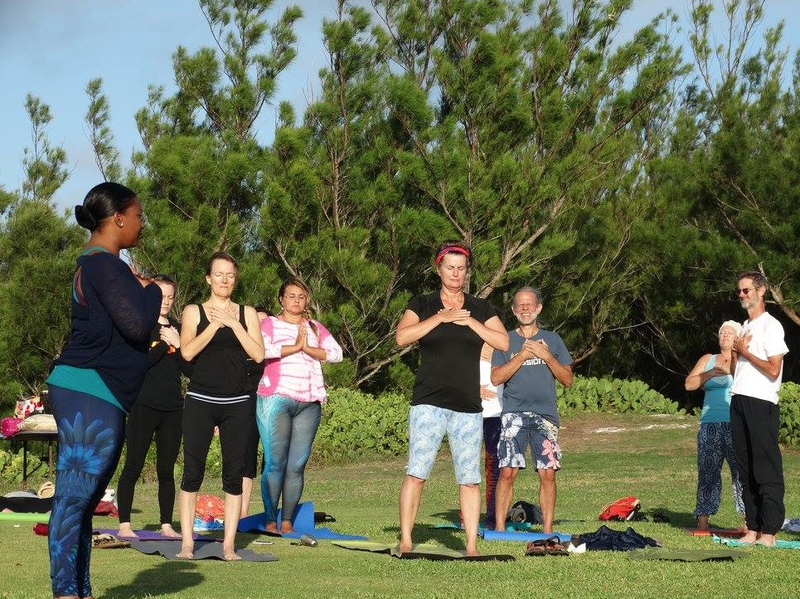 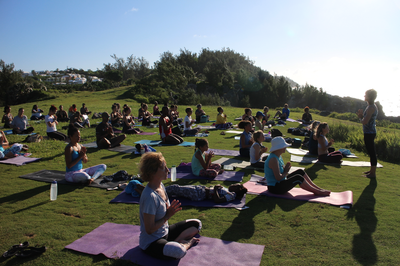 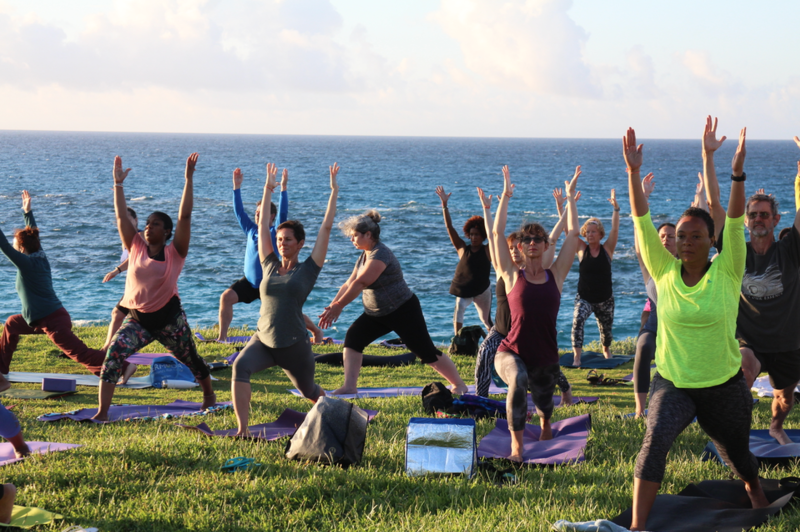 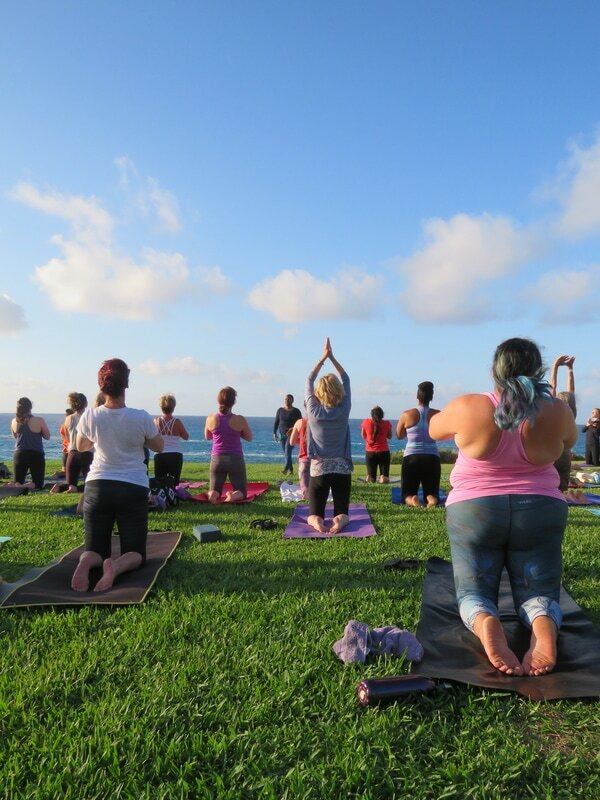 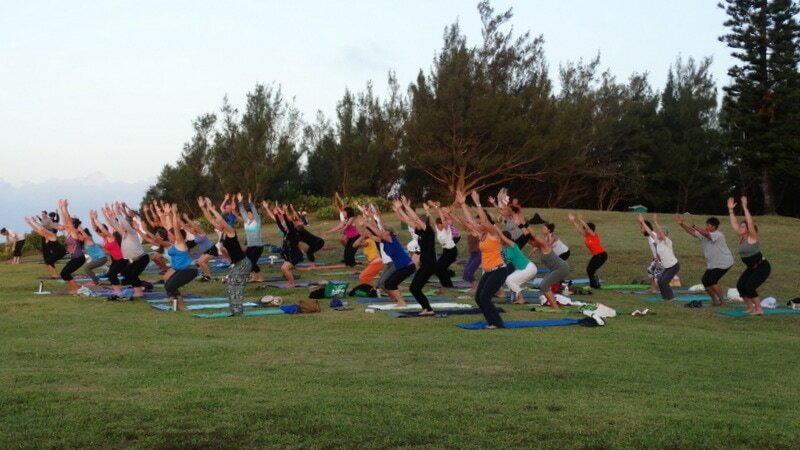 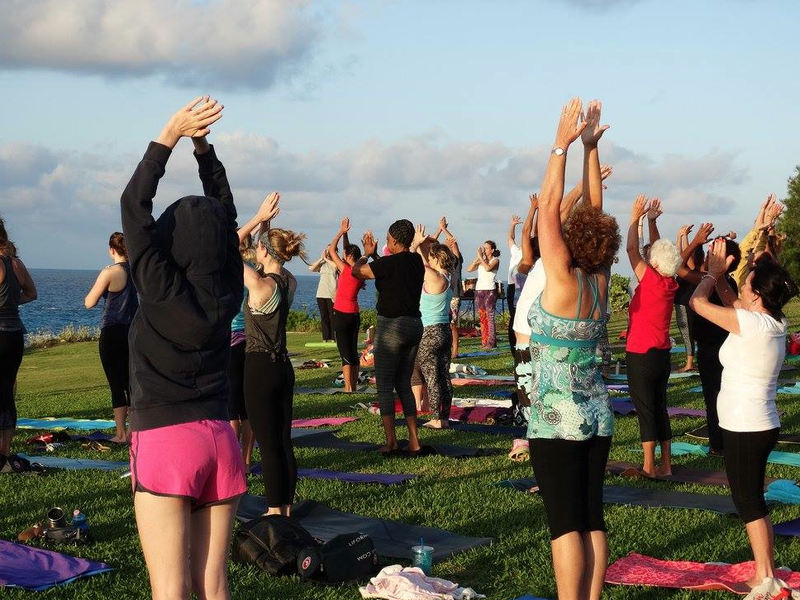 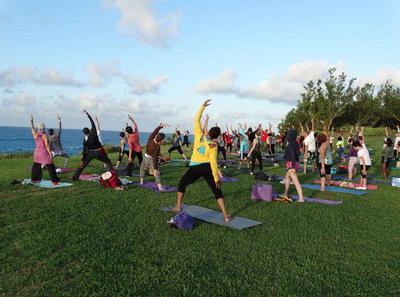 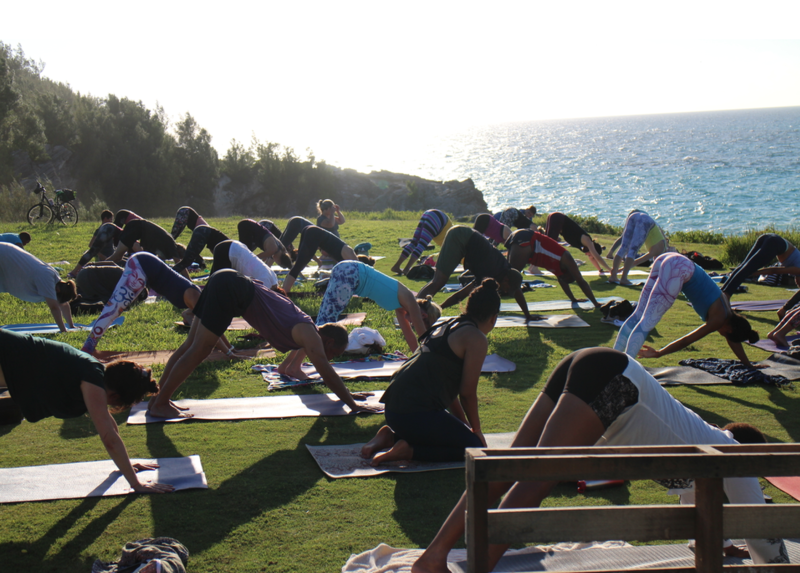 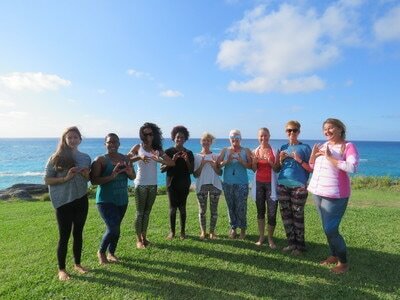 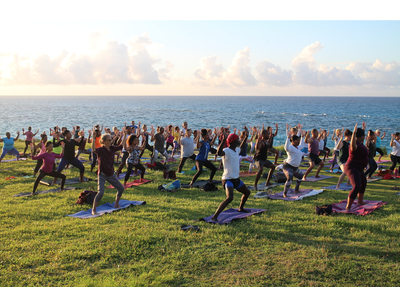 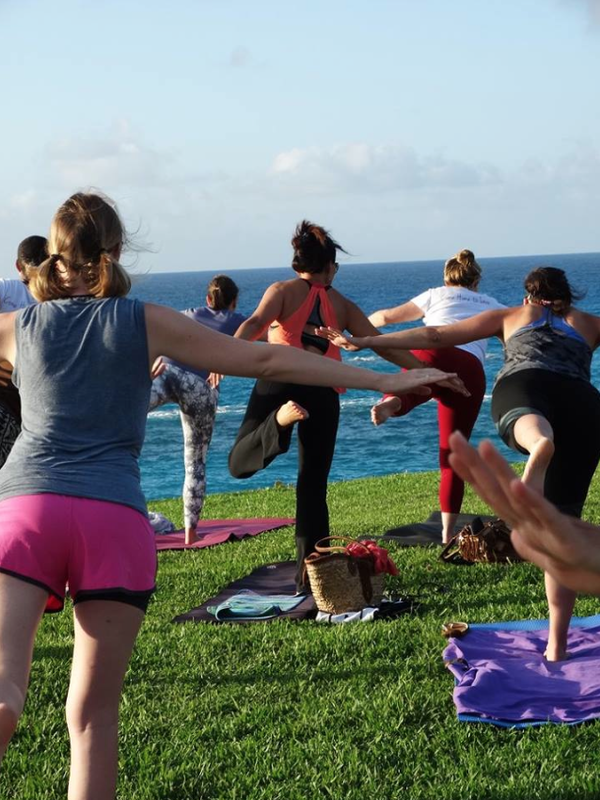 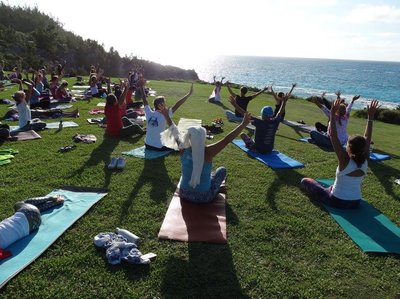 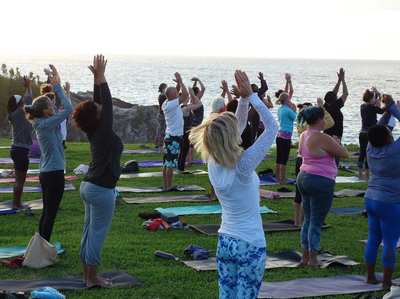 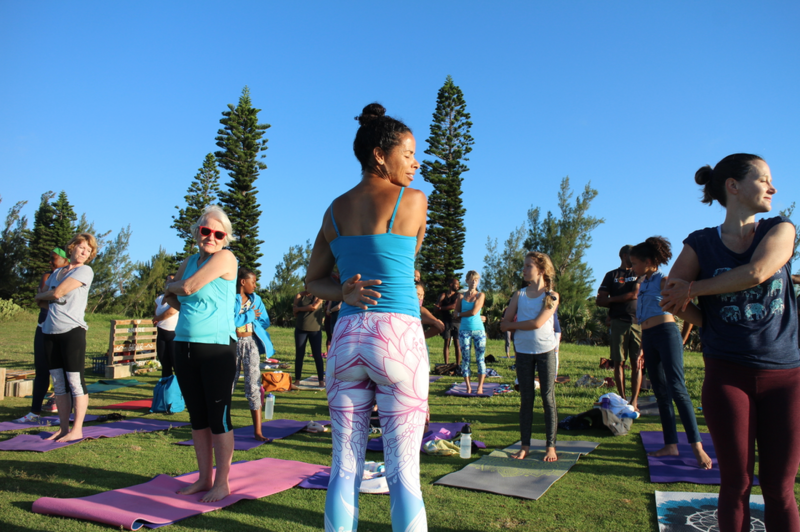 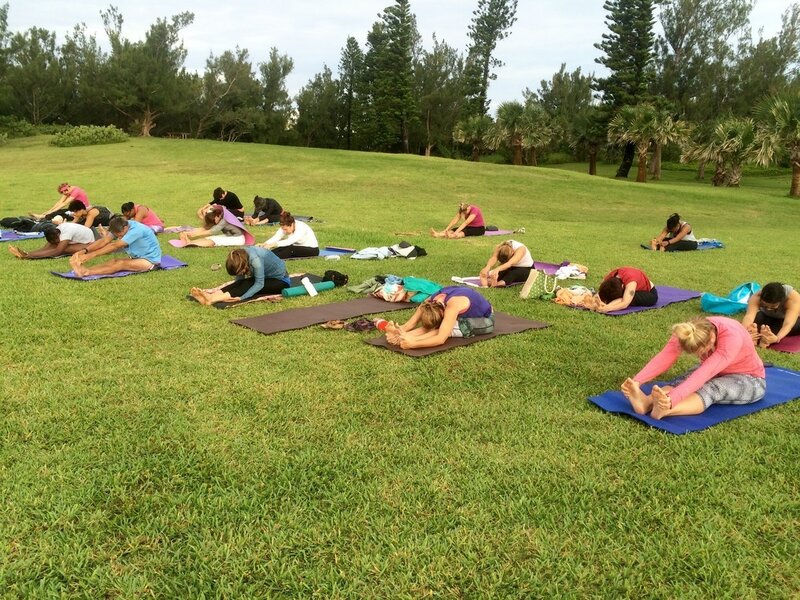 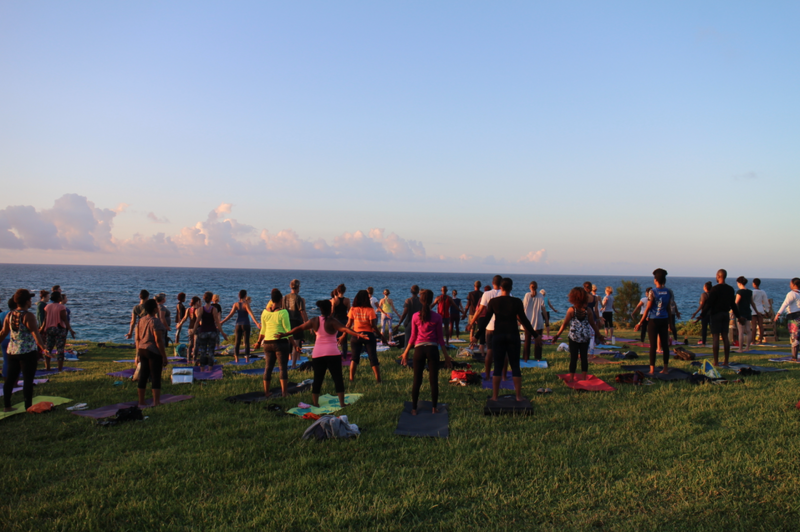 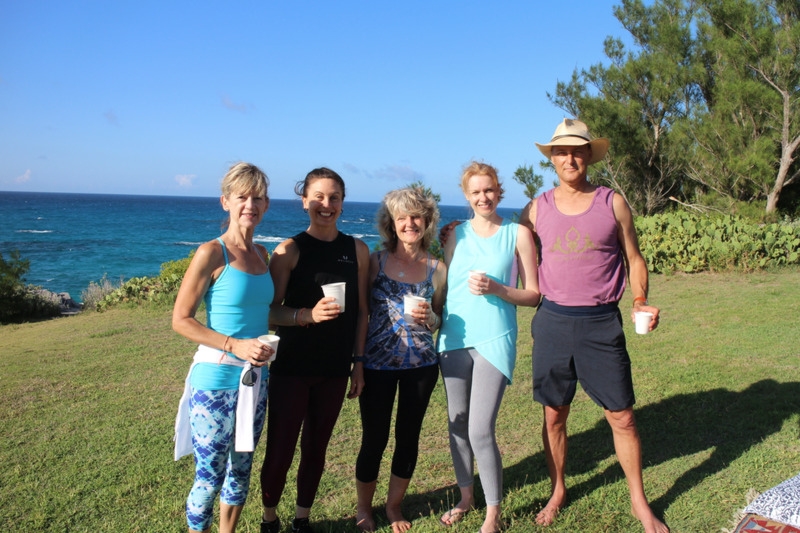 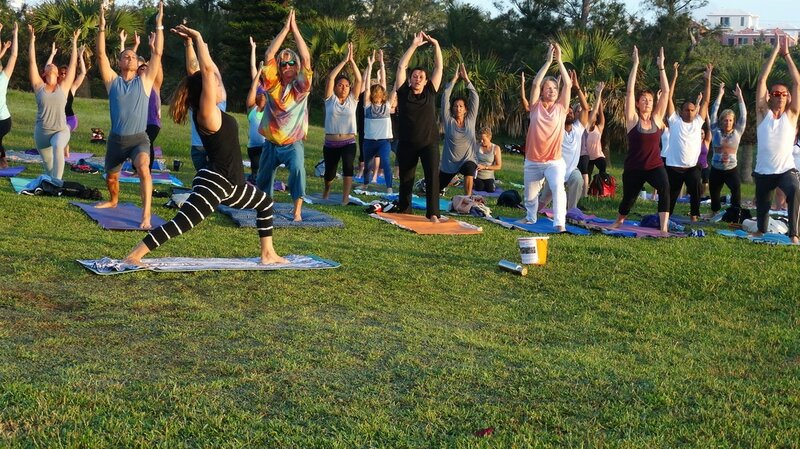 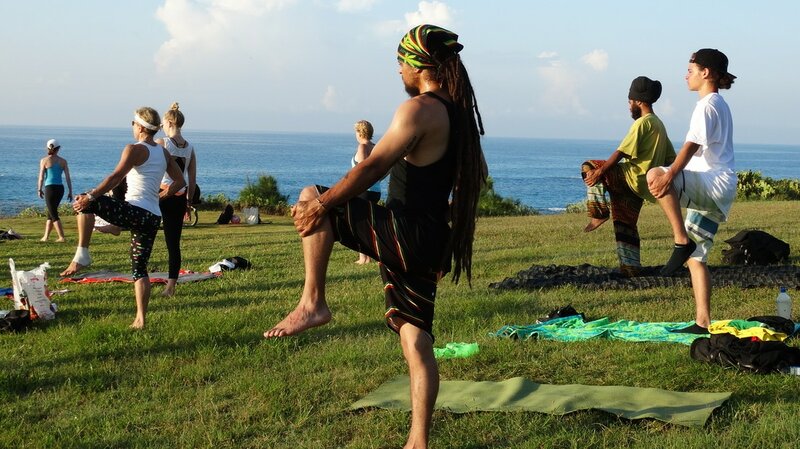 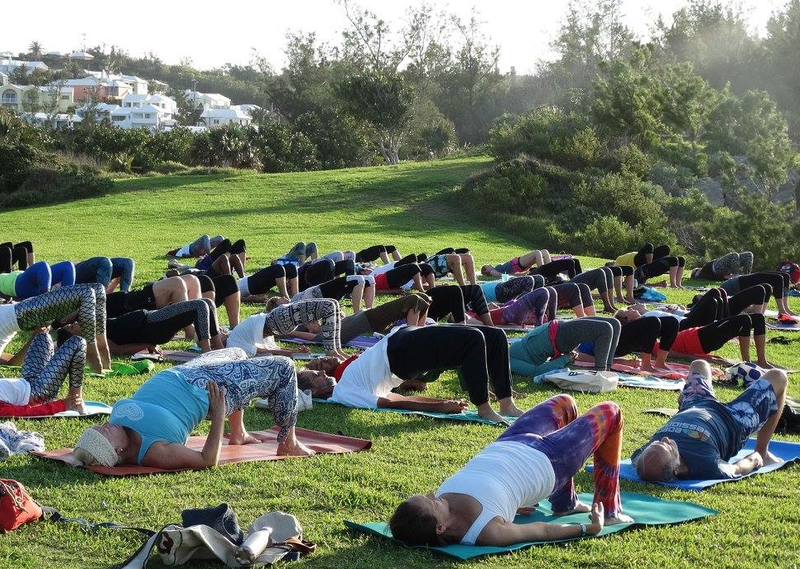 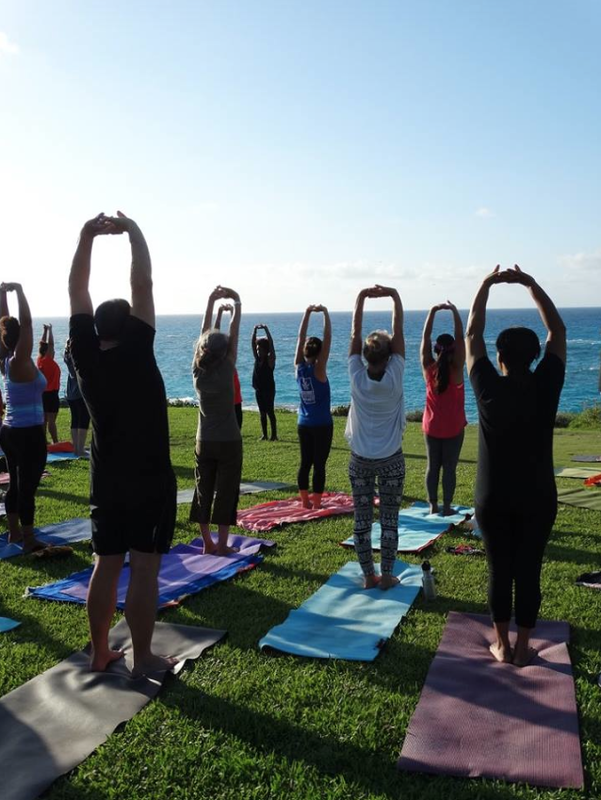 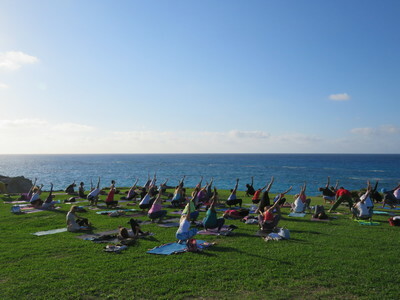 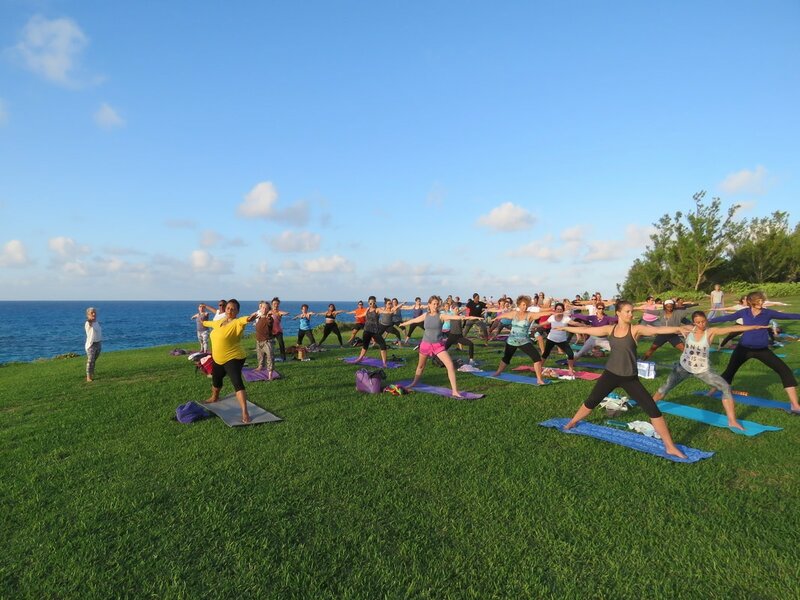 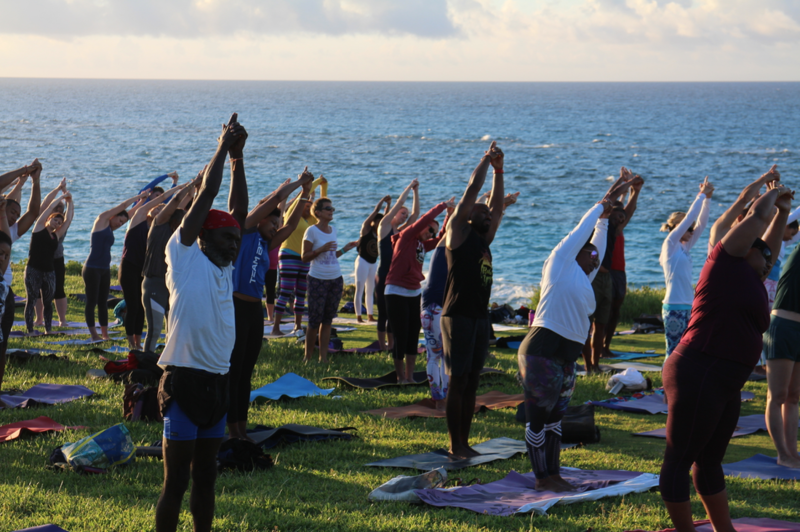 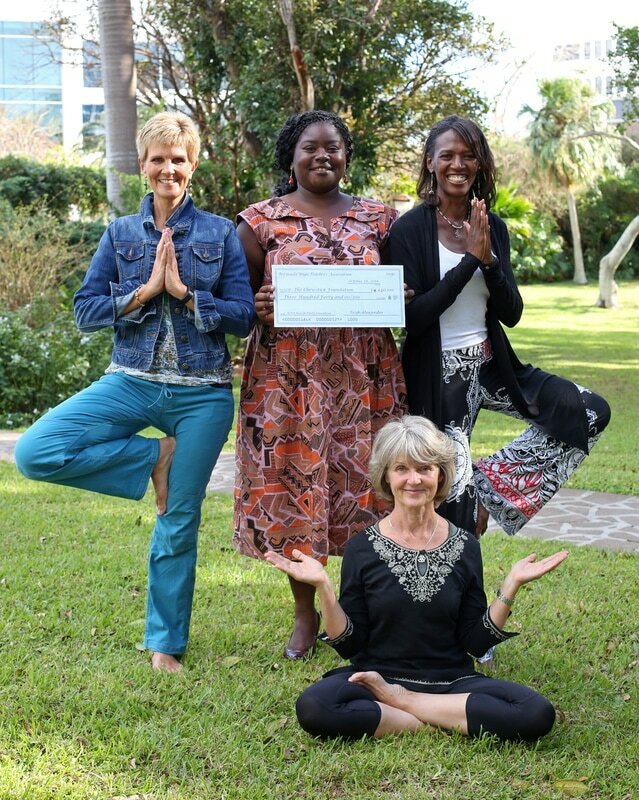 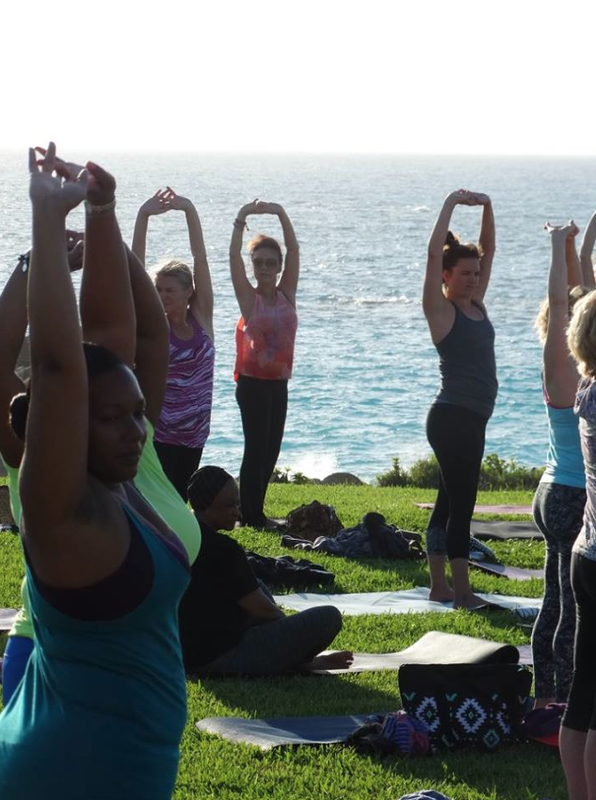 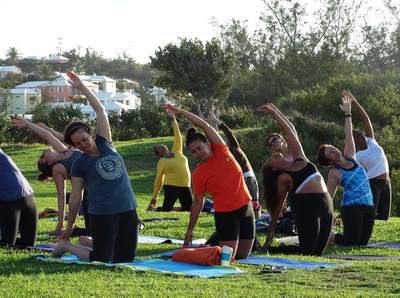 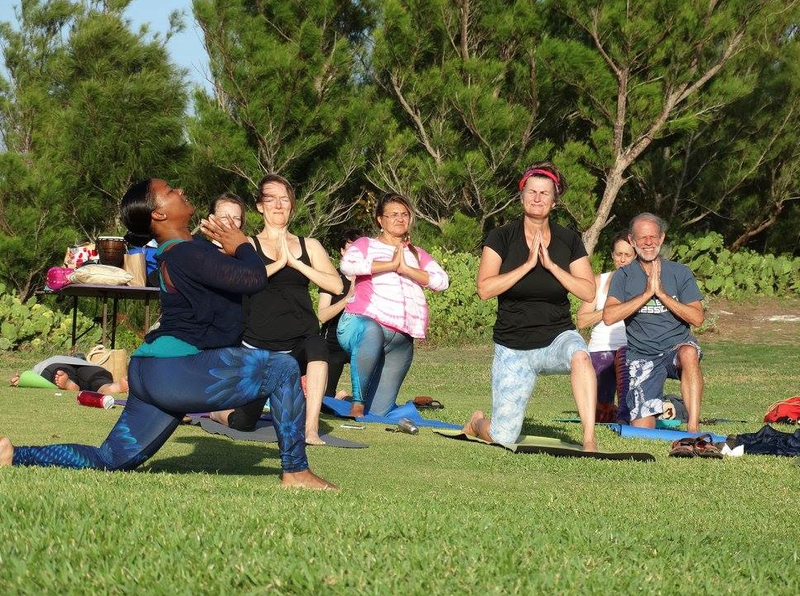 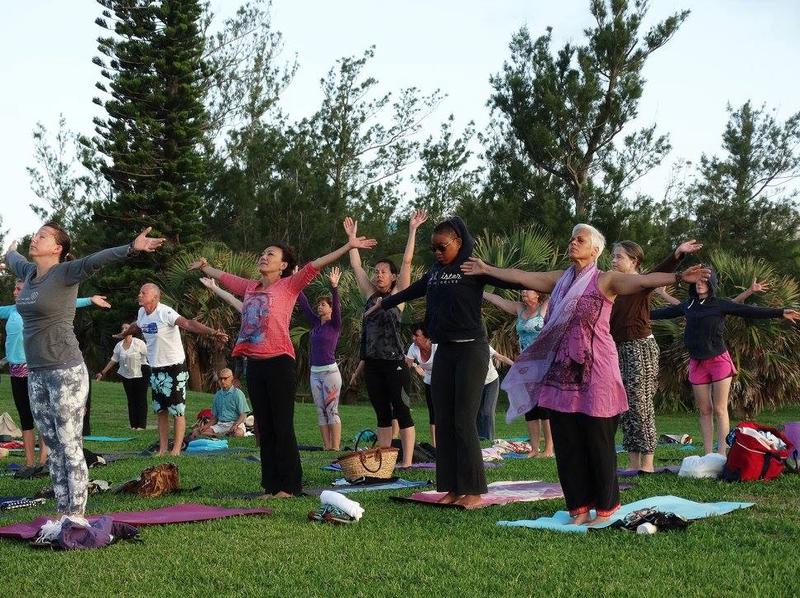 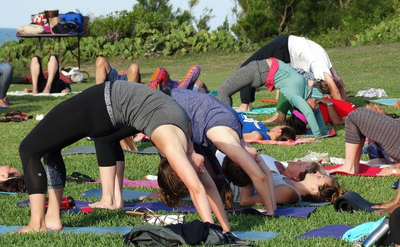 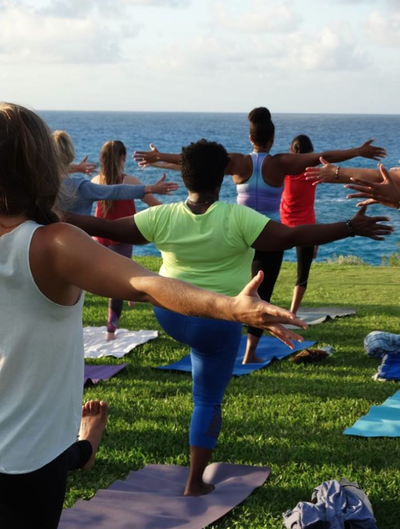 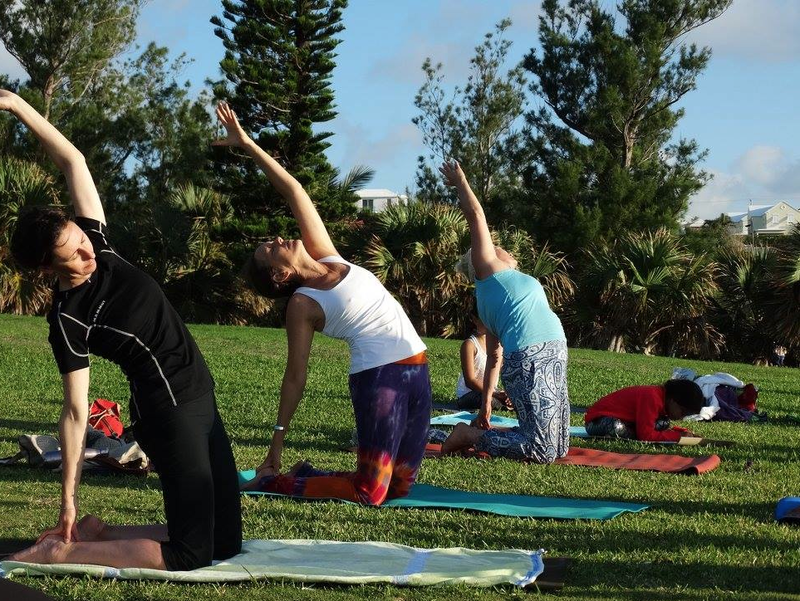 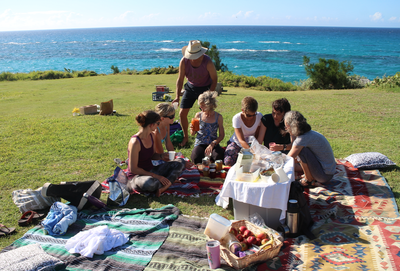 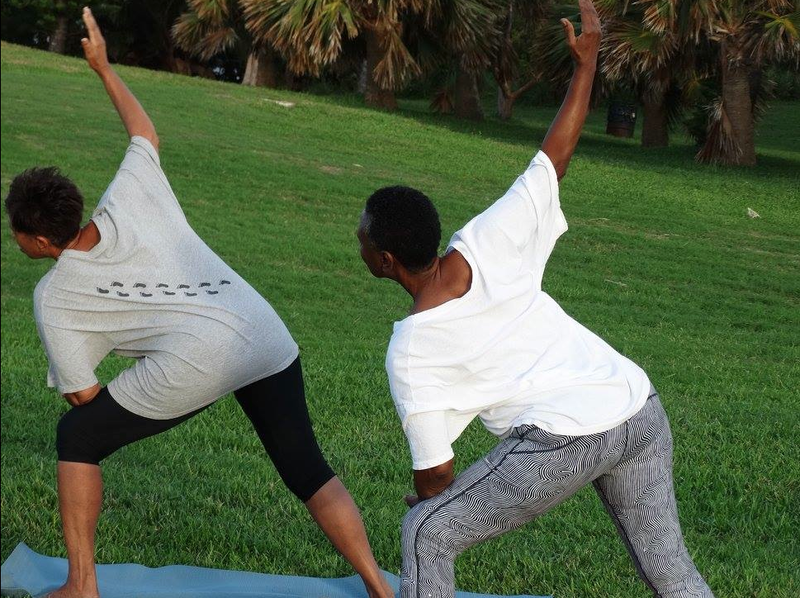 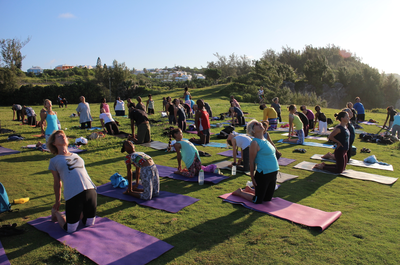 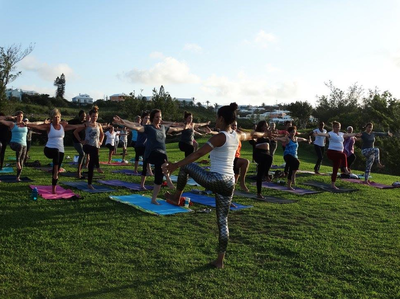 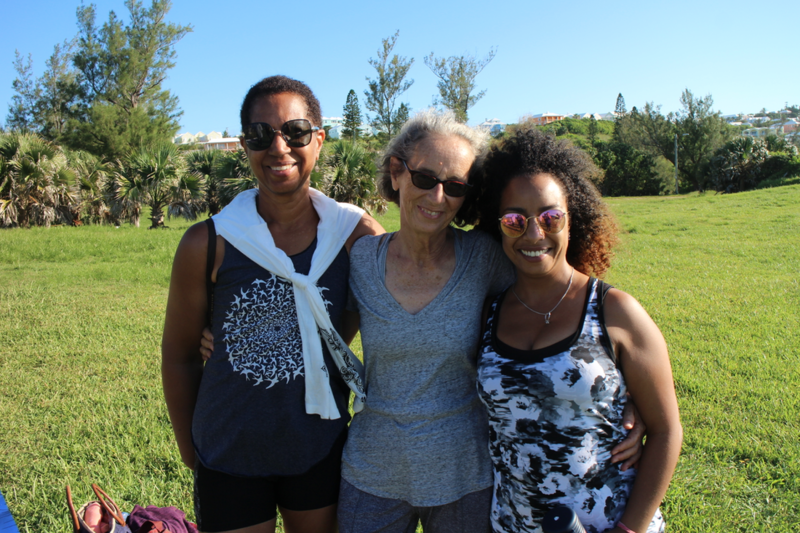 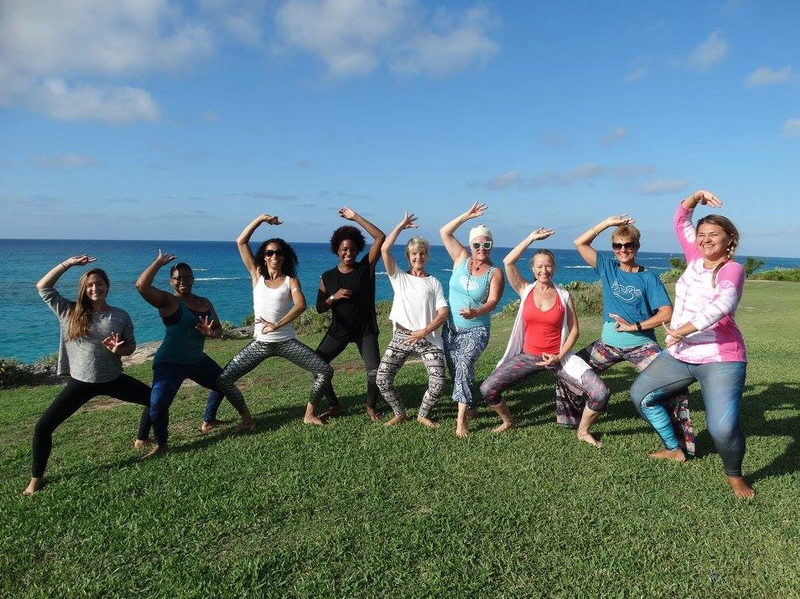 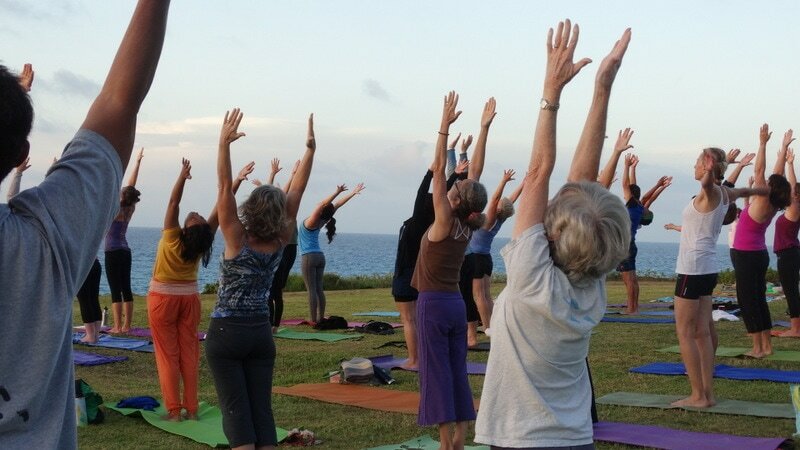 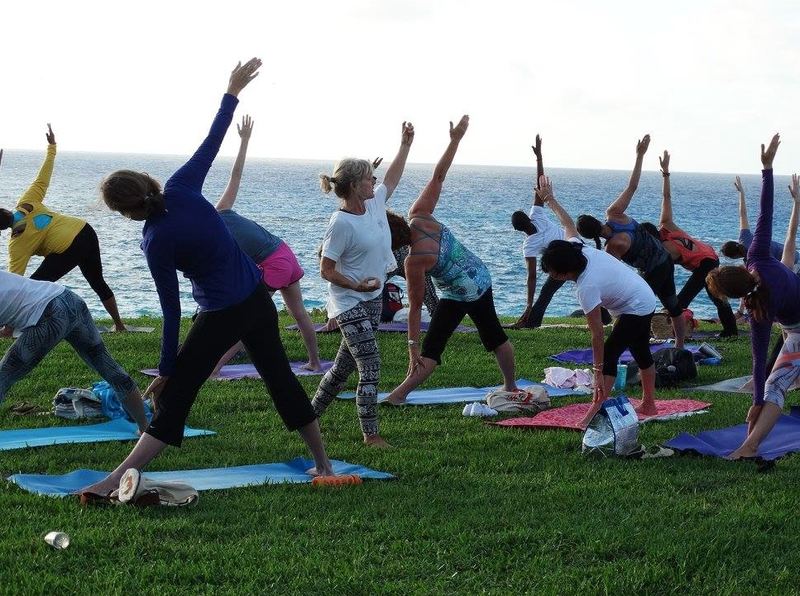 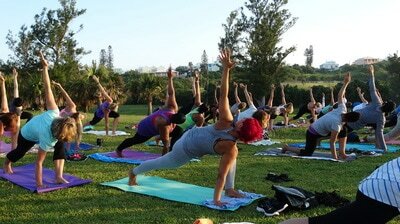 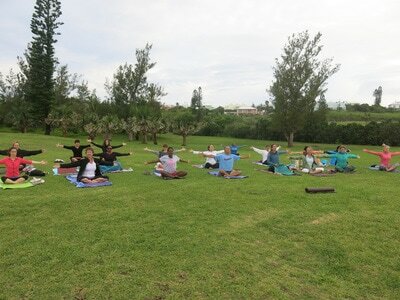 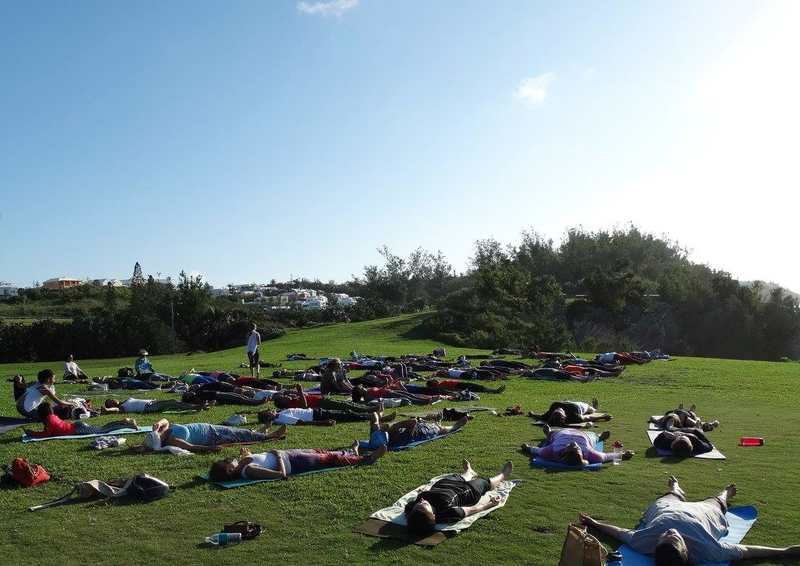 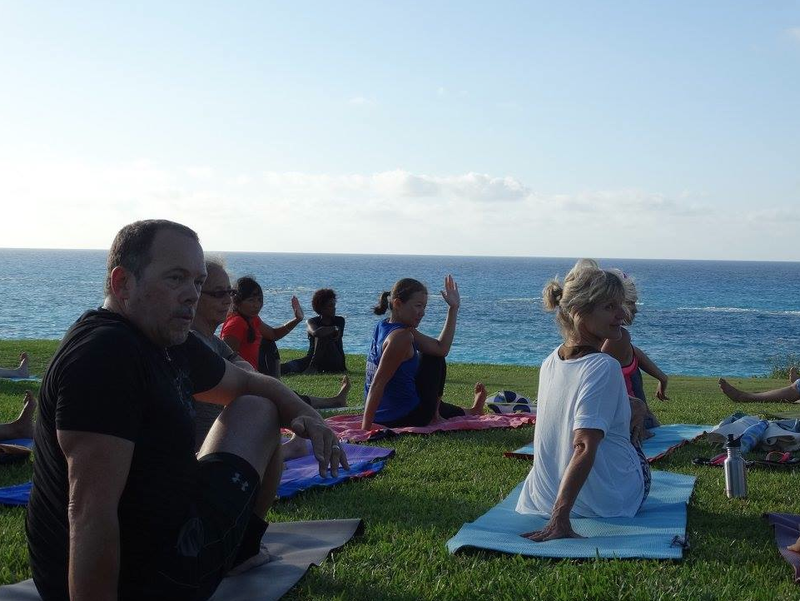 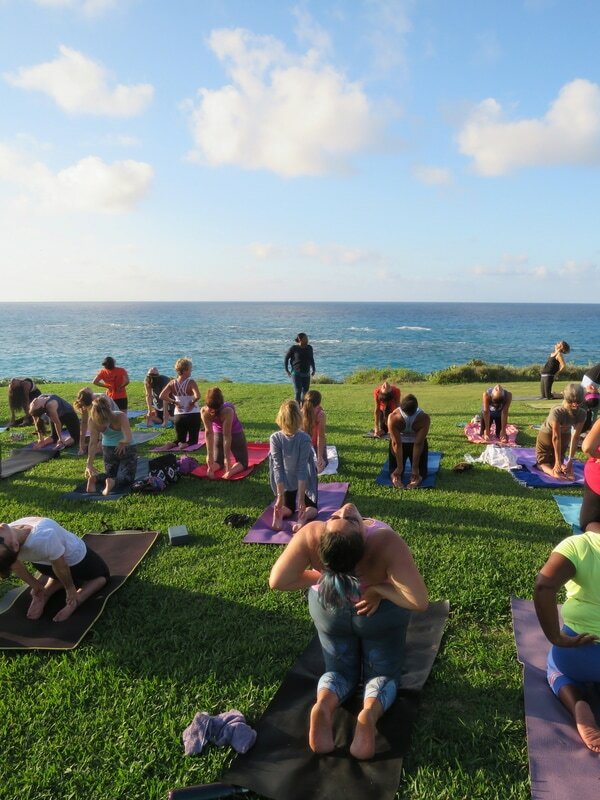 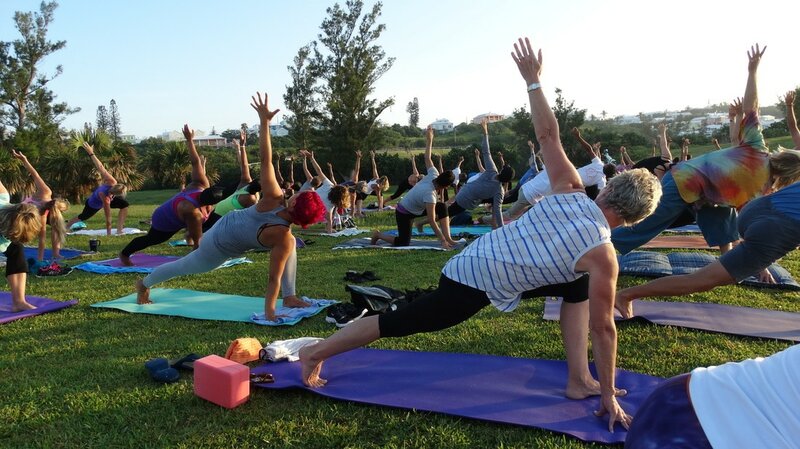 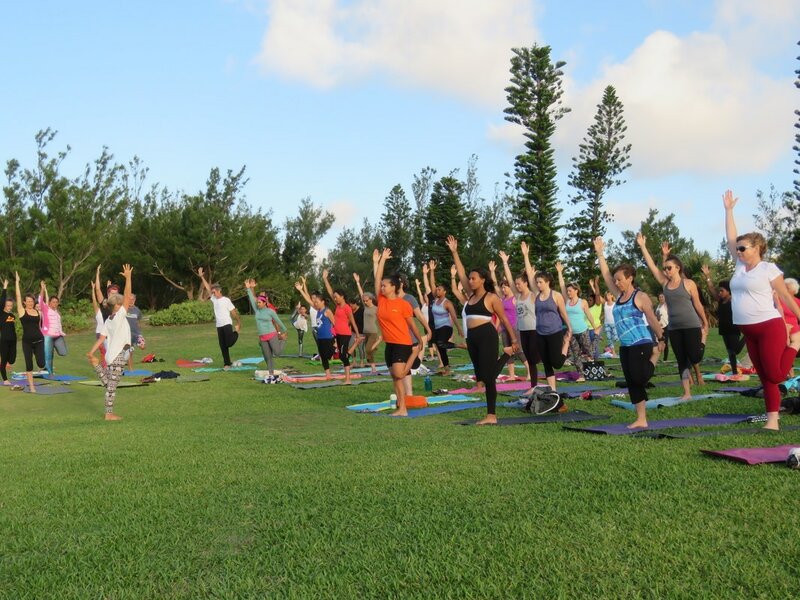 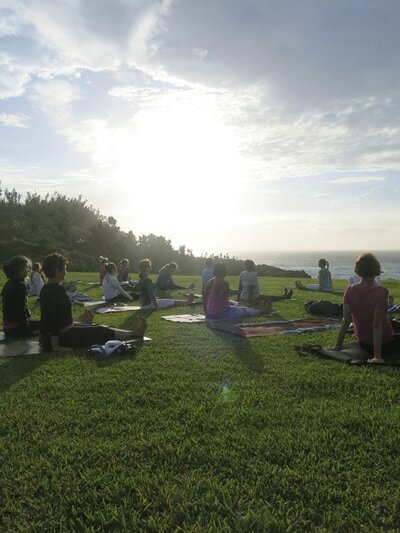 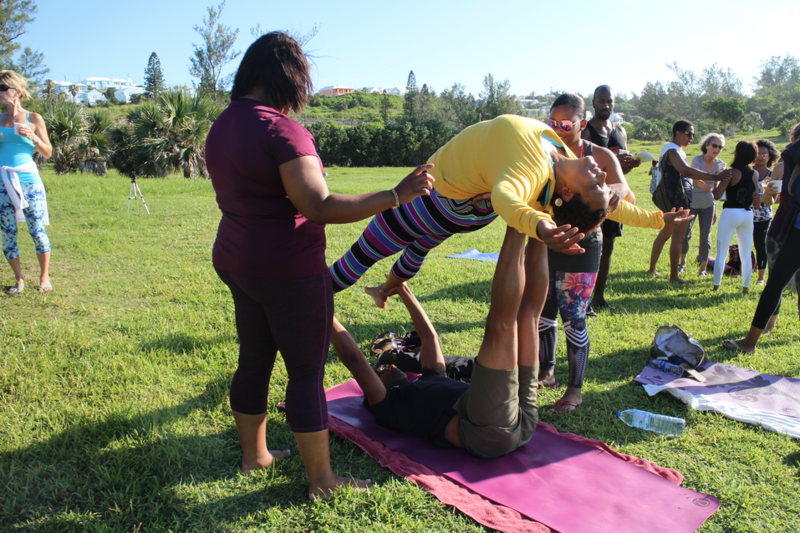 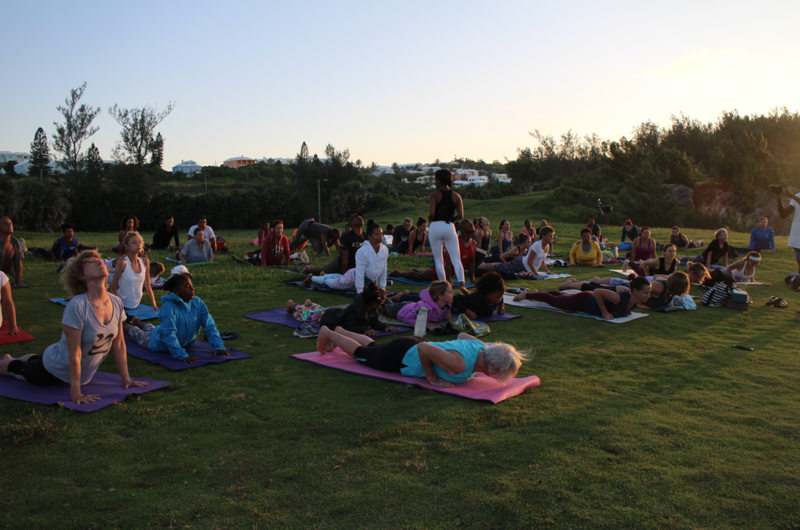 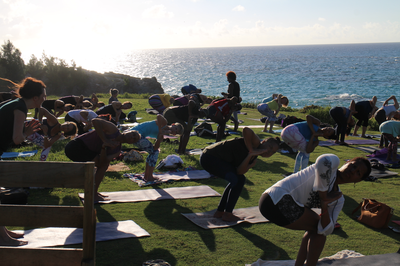 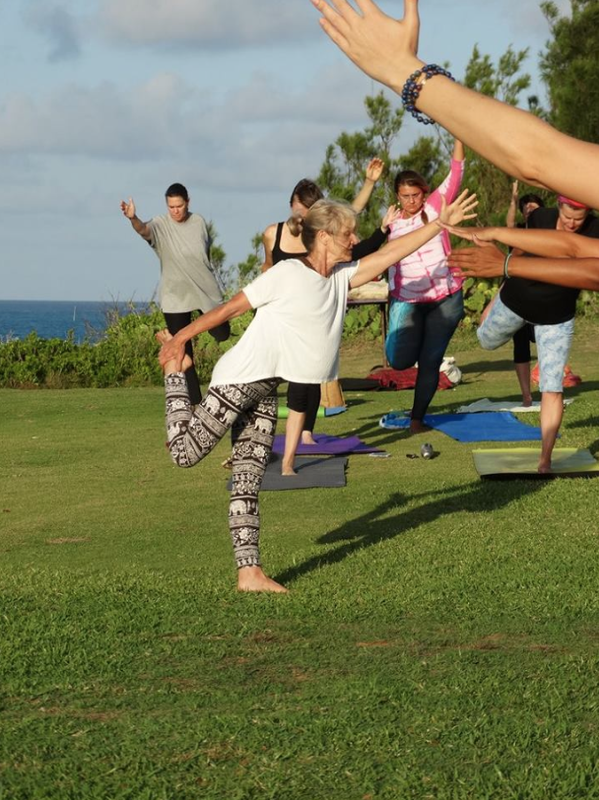 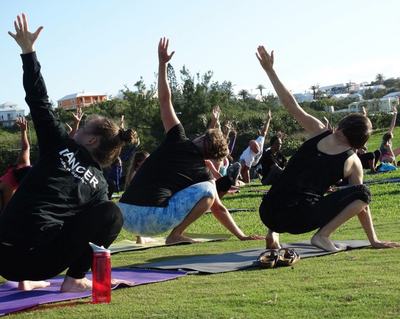 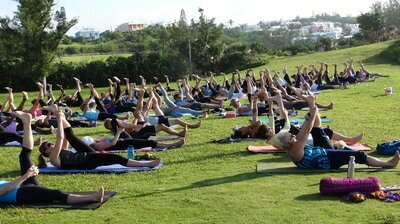 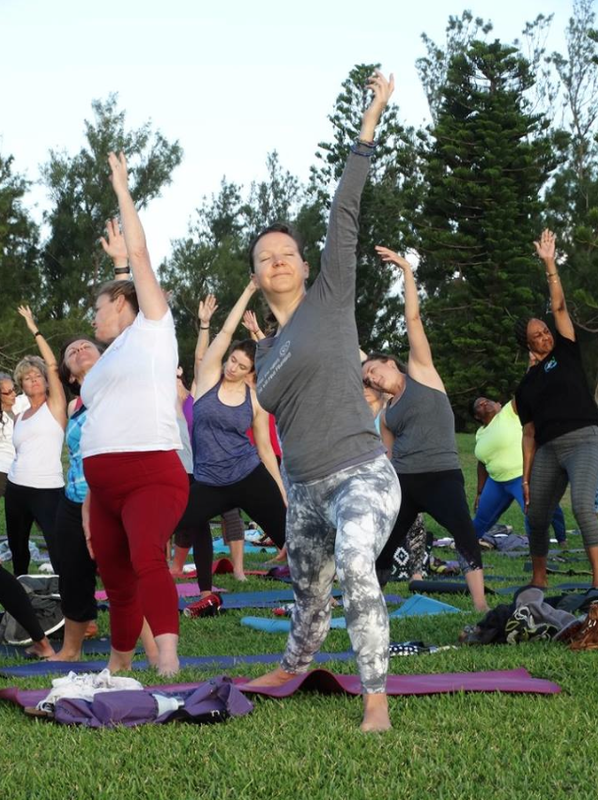 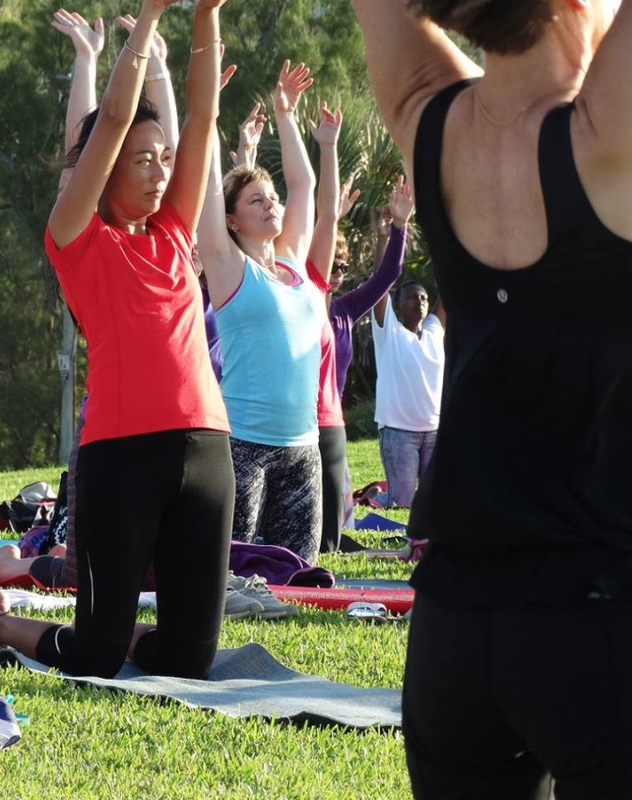 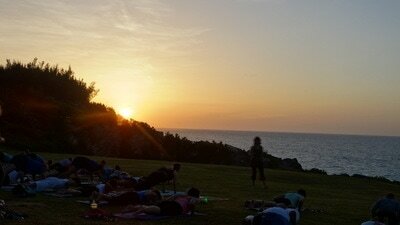 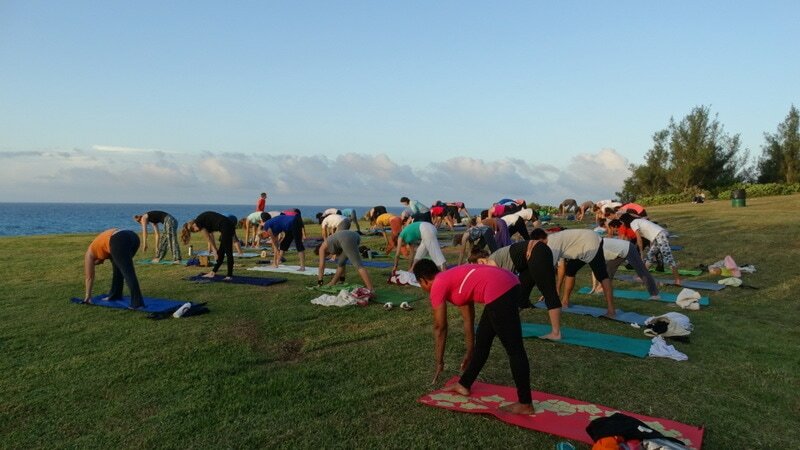 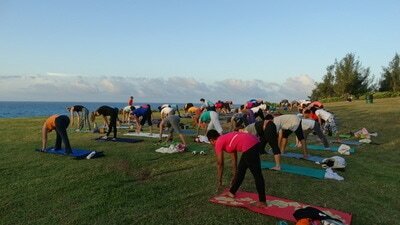 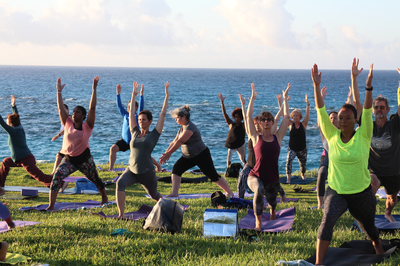 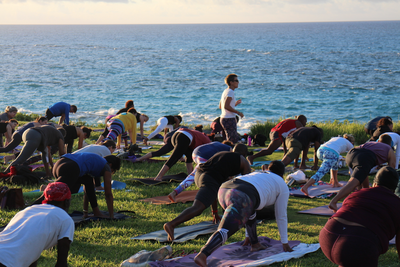 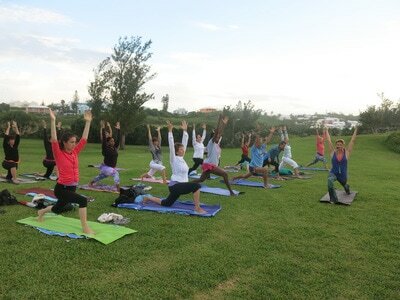 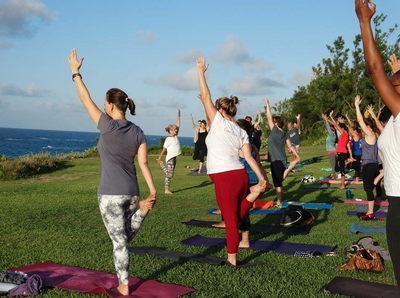 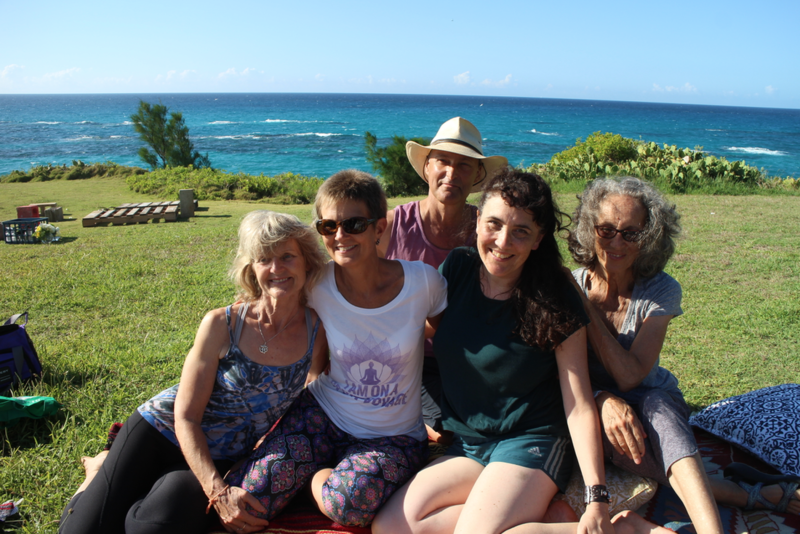 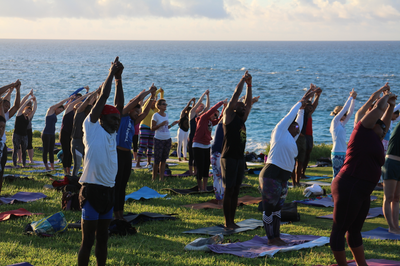 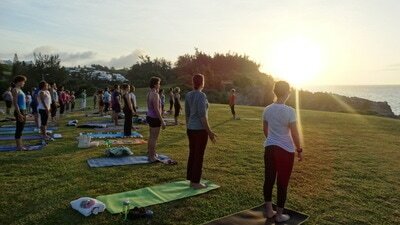 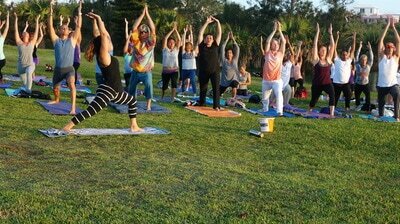 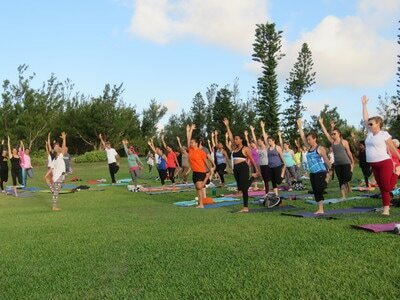 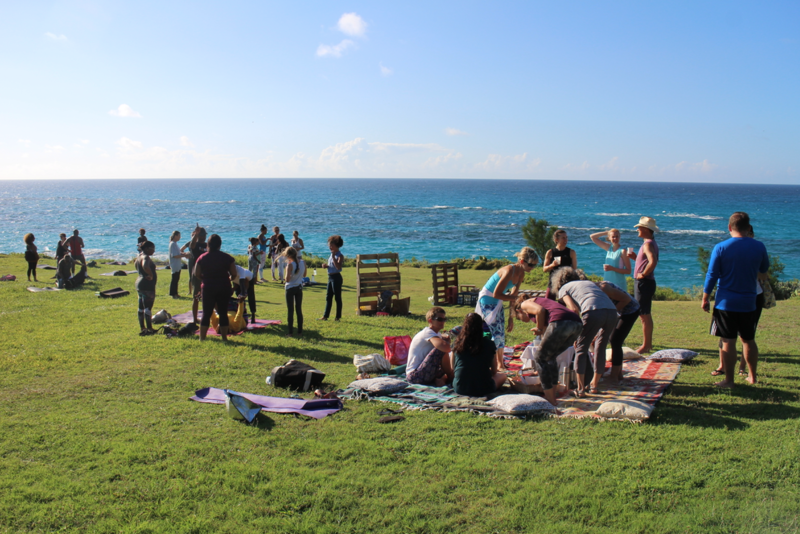 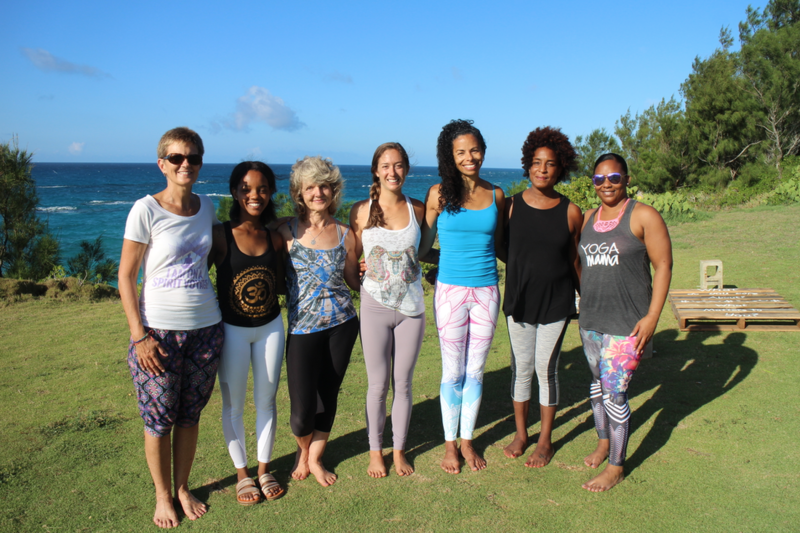 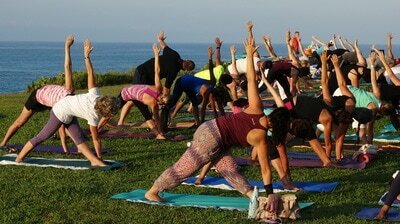 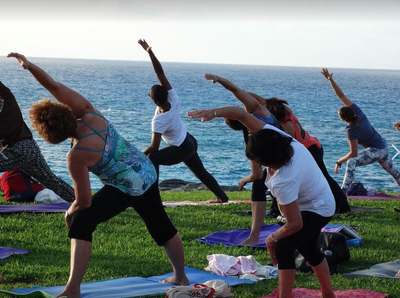 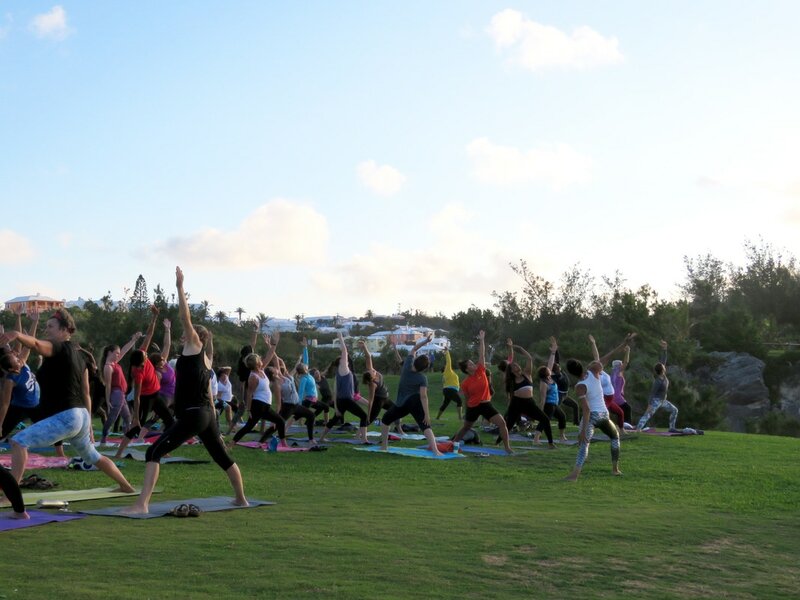 The Bermuda Yoga Teacher Association's annual, free, community event at Astwood Park, Warwick. 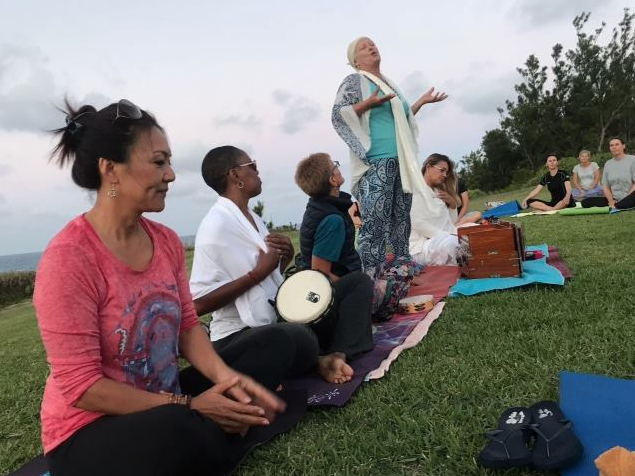 Thank you to the Kirtan Wallahs, our teachers and everyone who joined us to radiate their light so early in the morning. 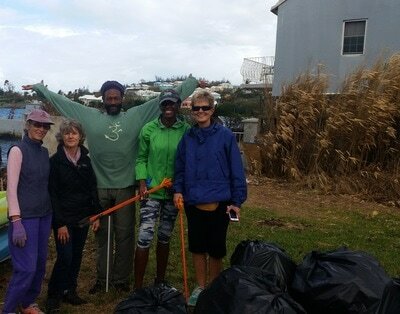 Group pictures includes Frances Marshall, Neville Richardson and the 3 stooges!